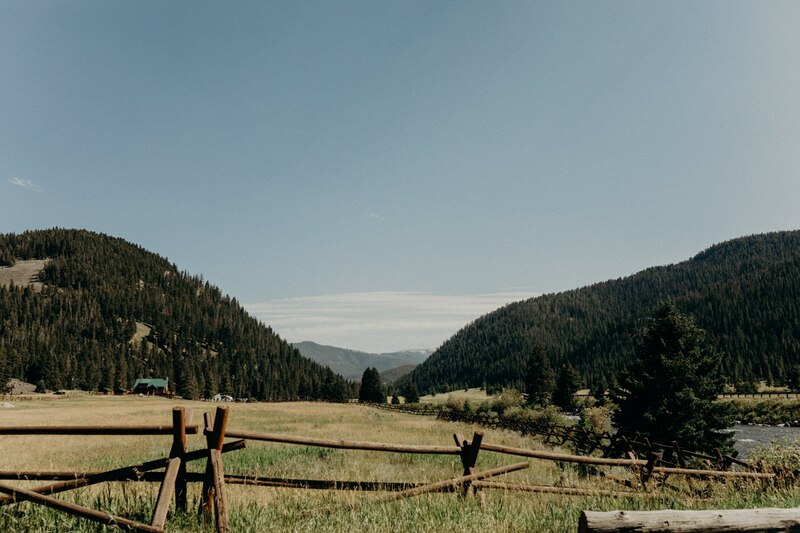 Big wide skies, the sun shining bright, a fresh breeze. 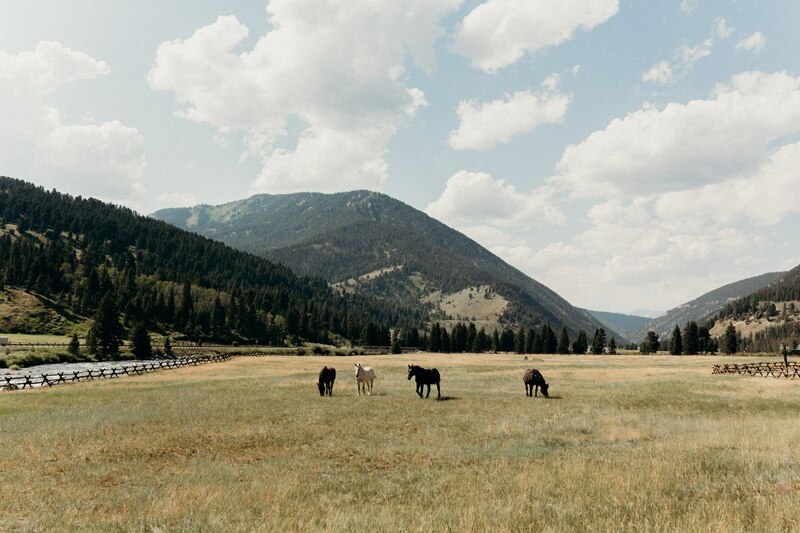 The sounds of the river flowing, the horses neighing, and the smells of nature. 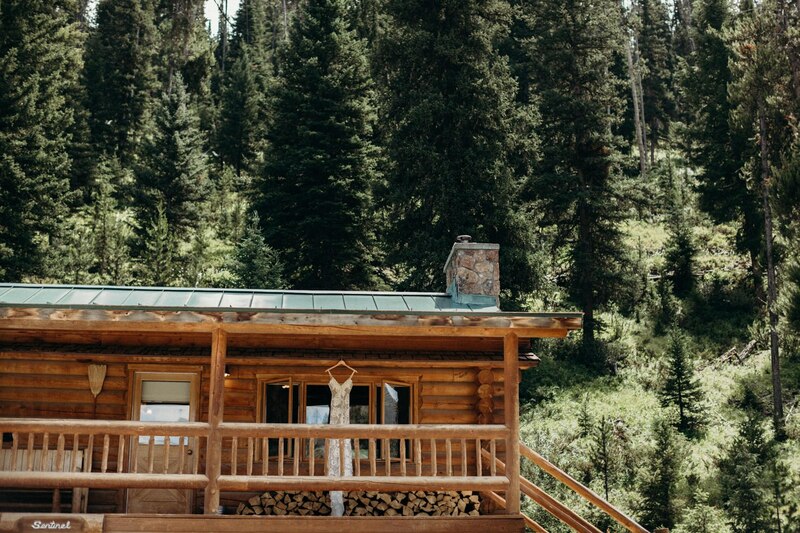 No cell phone service. 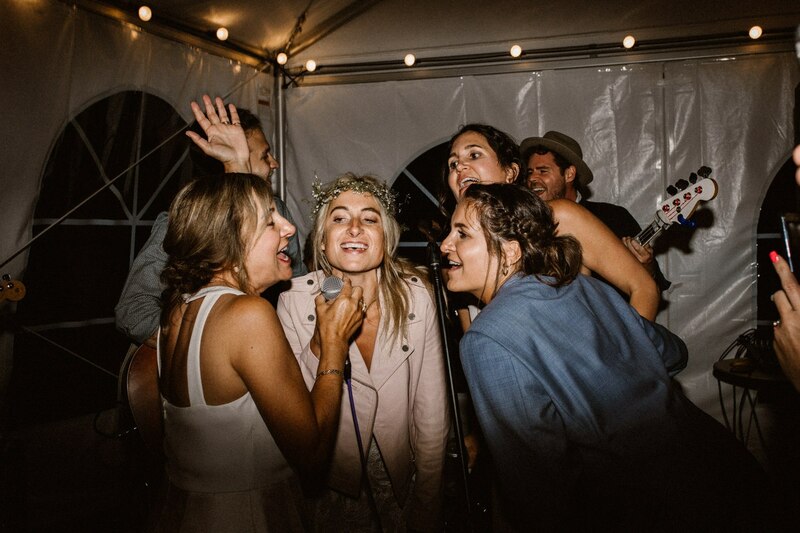 Just surrounded by your favorite humans. 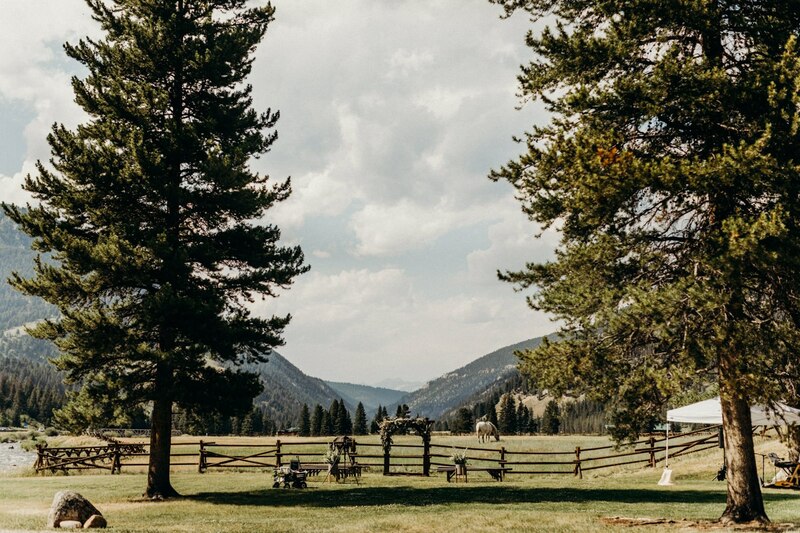 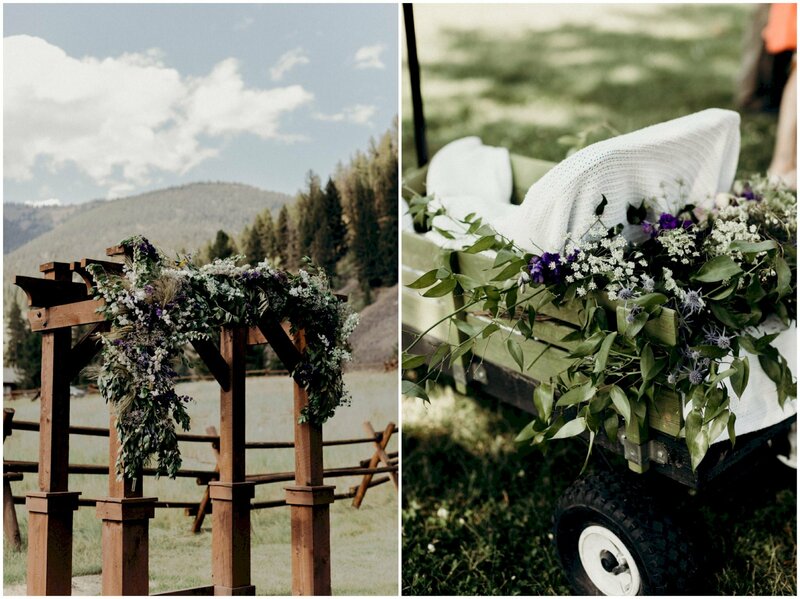 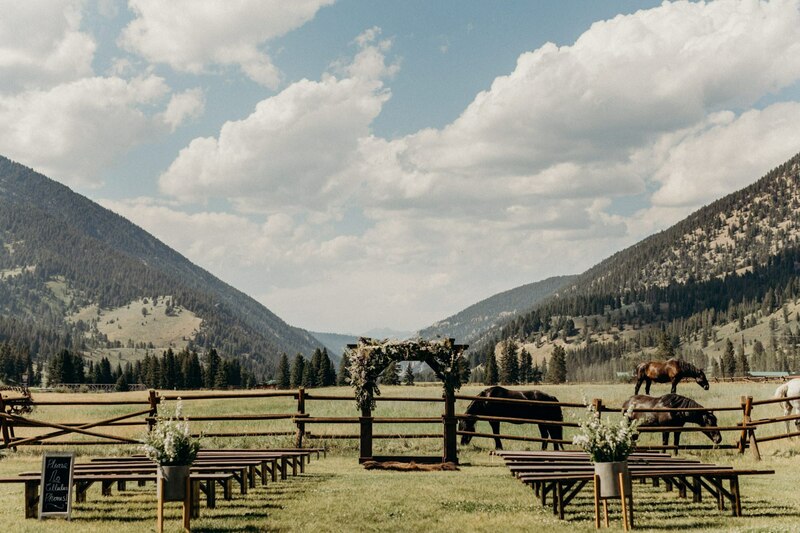 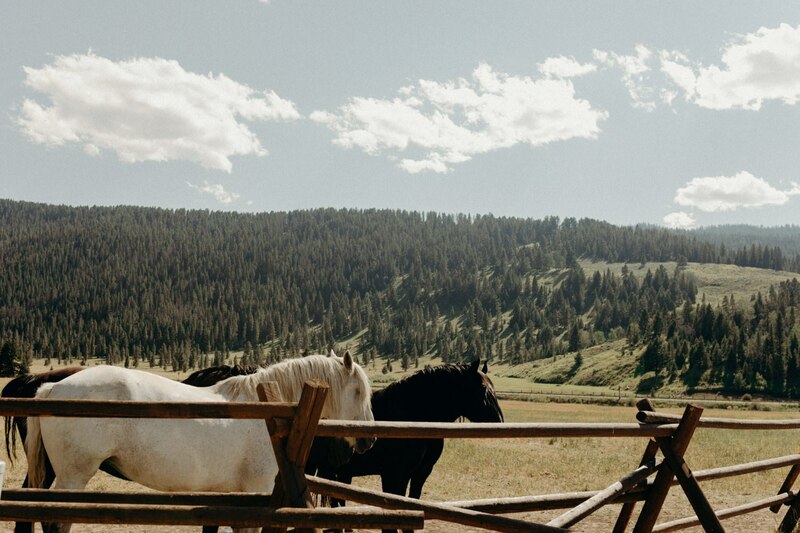 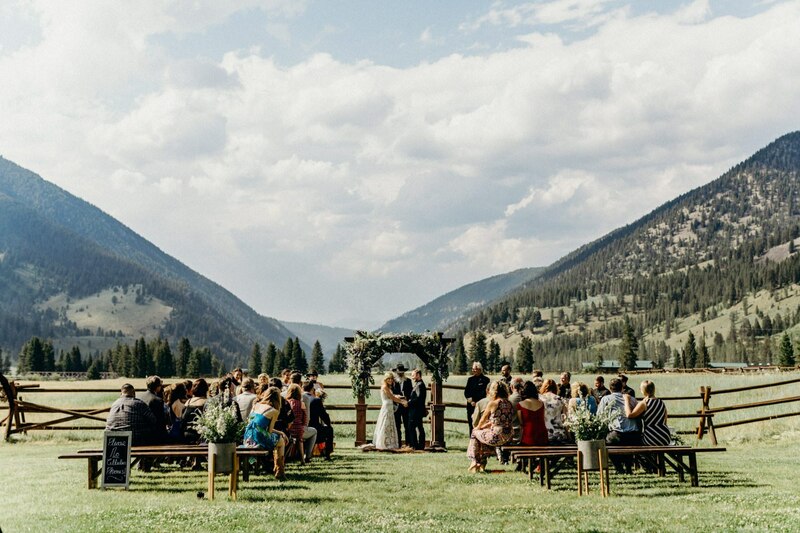 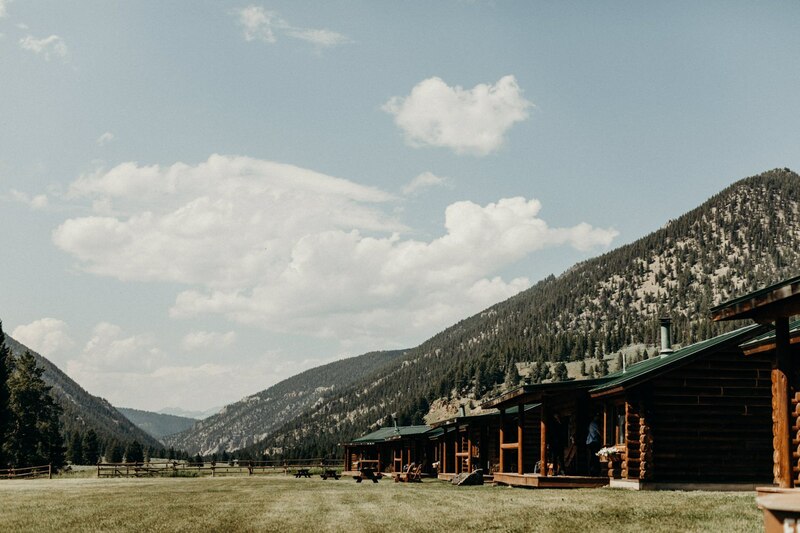 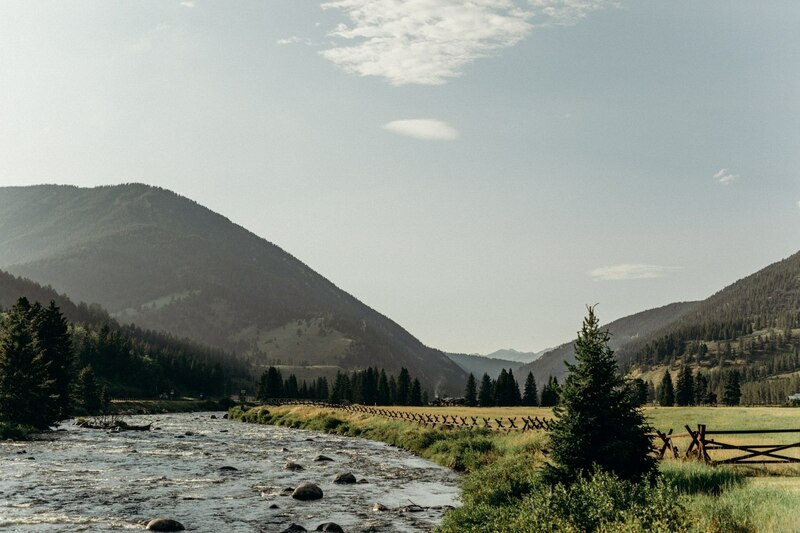 It was the perfect day to have a destination wedding in Montana. 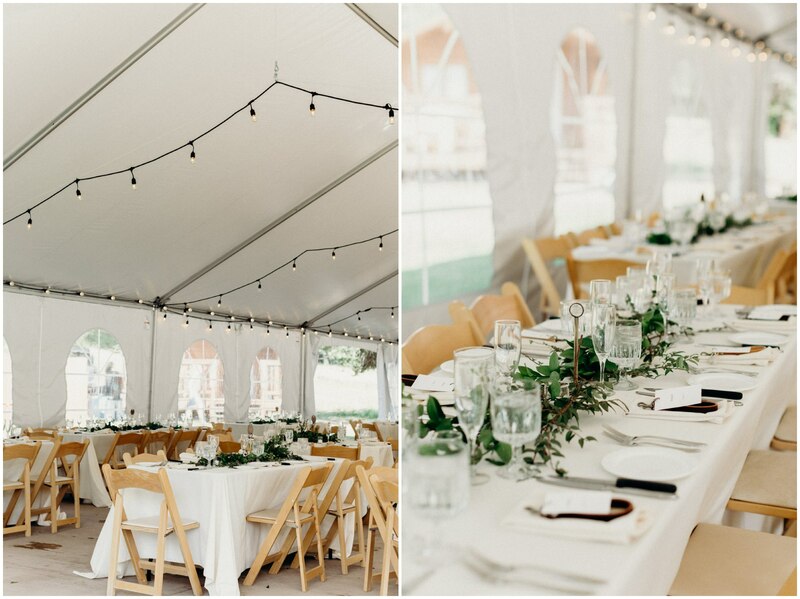 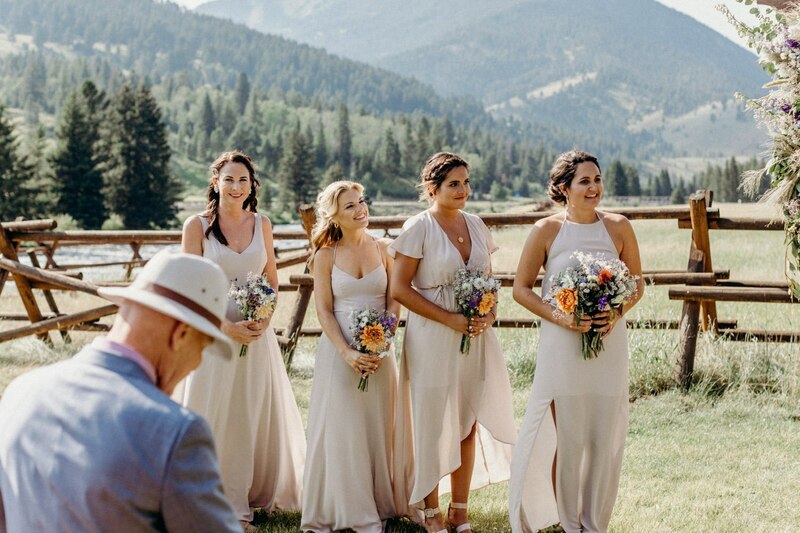 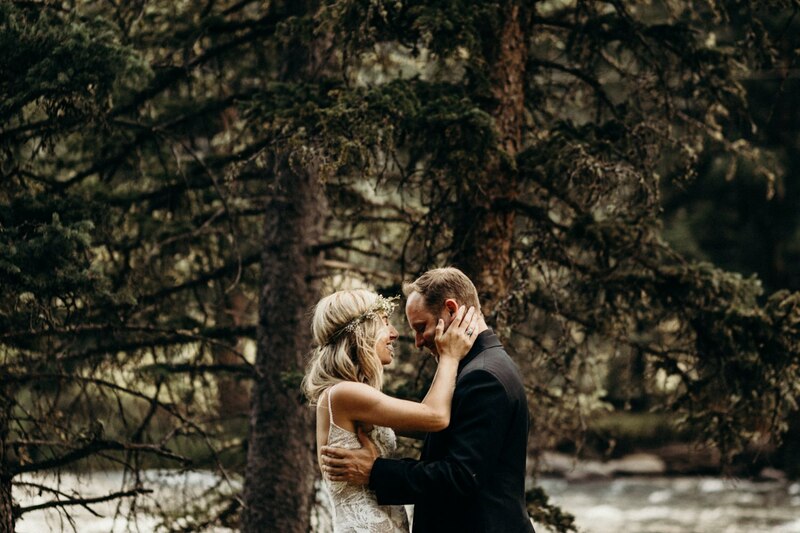 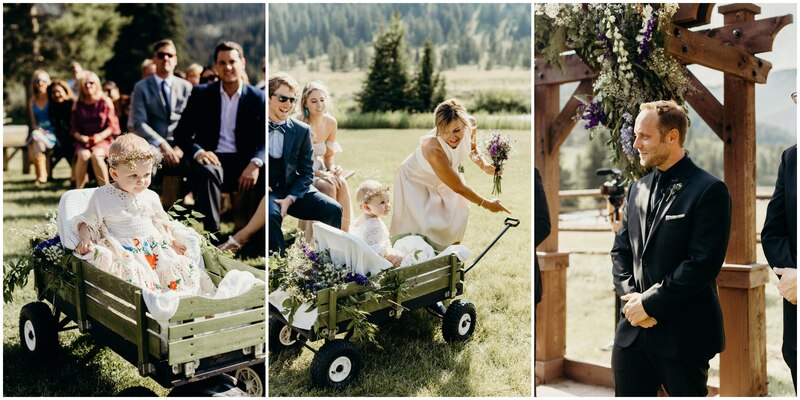 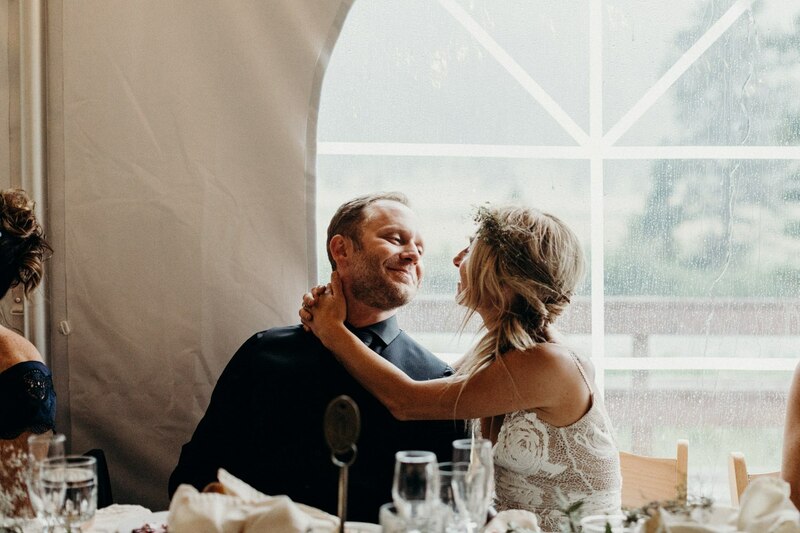 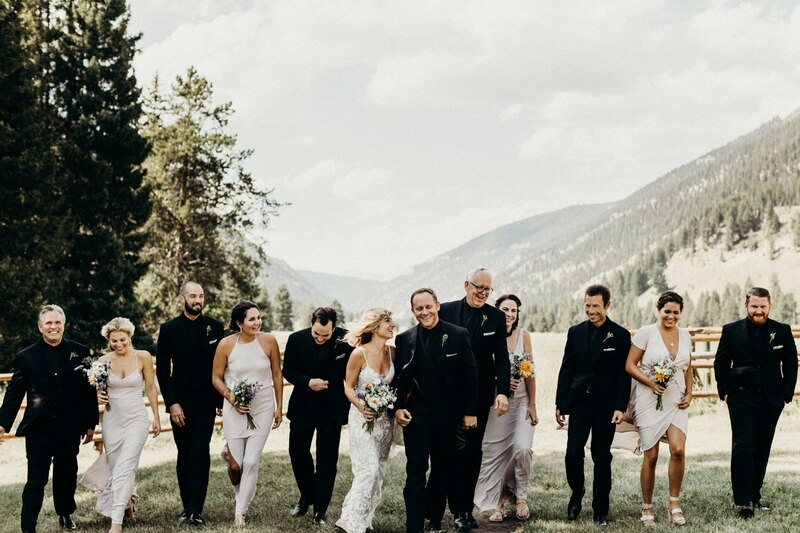 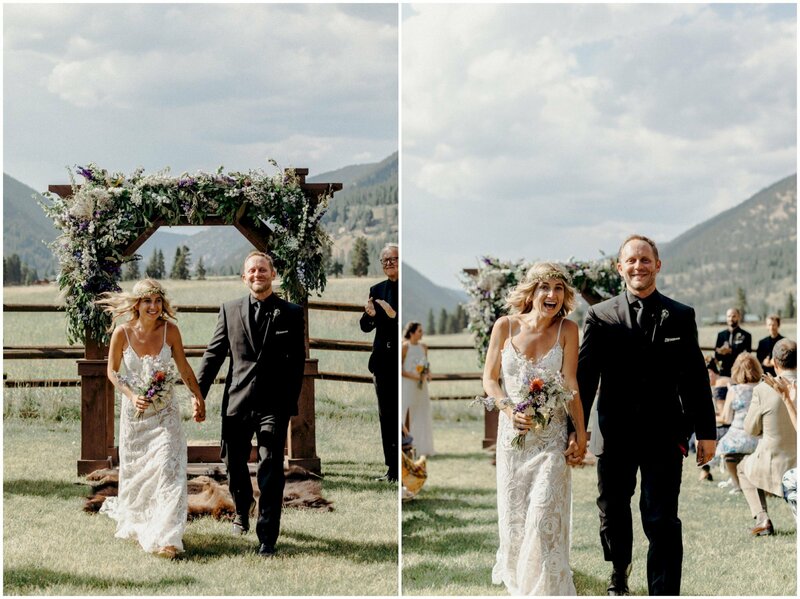 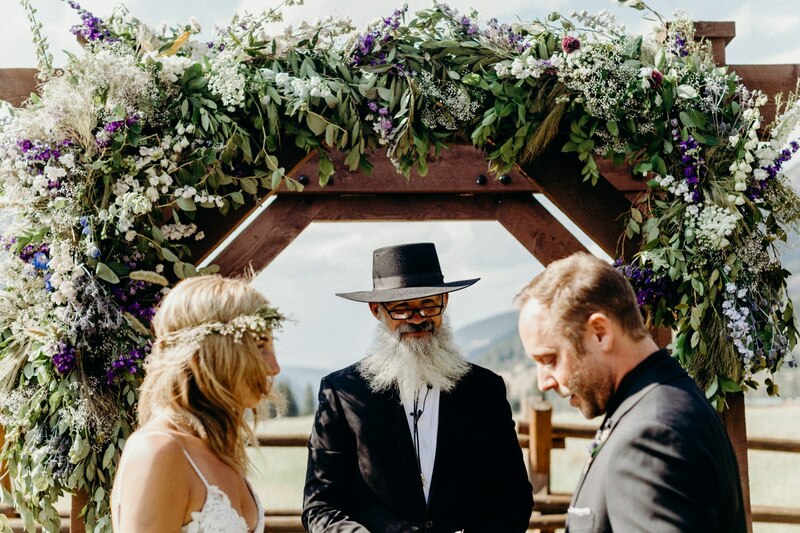 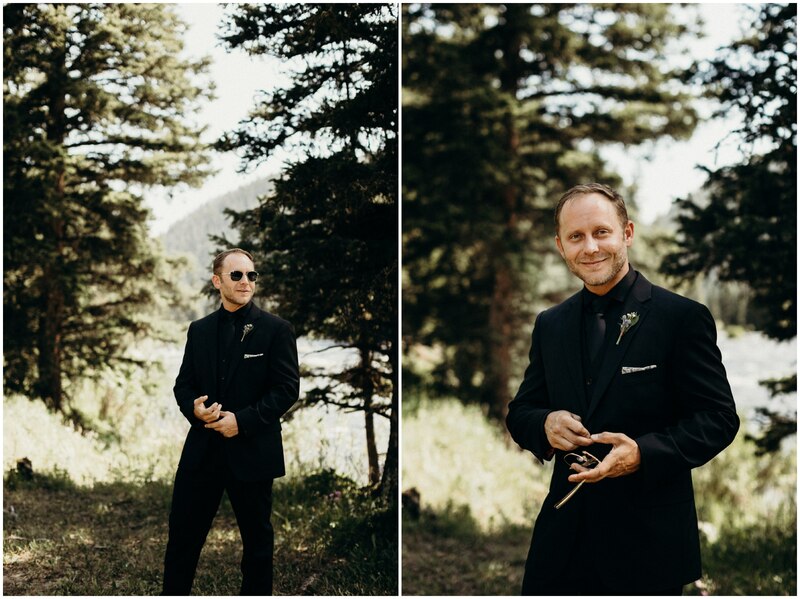 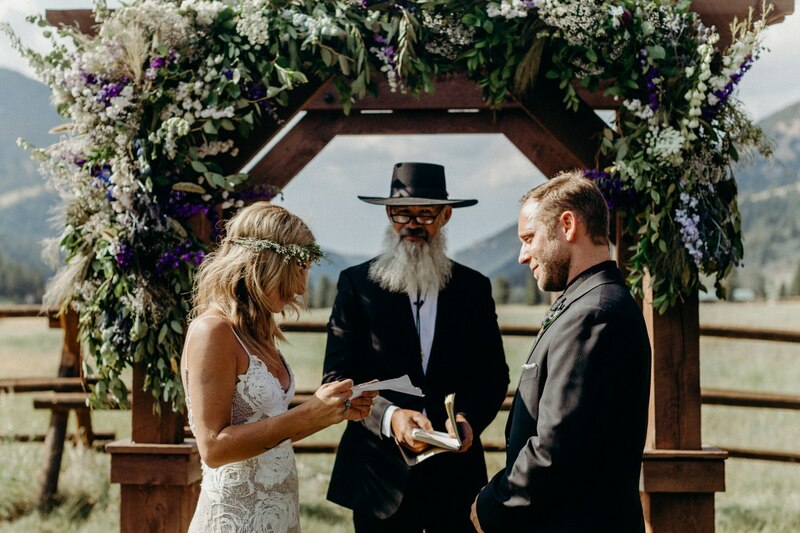 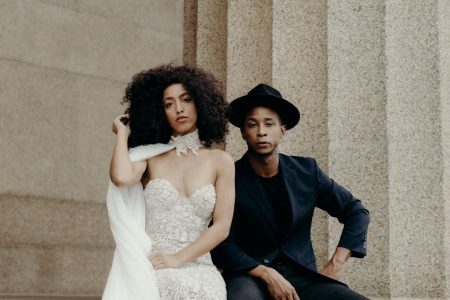 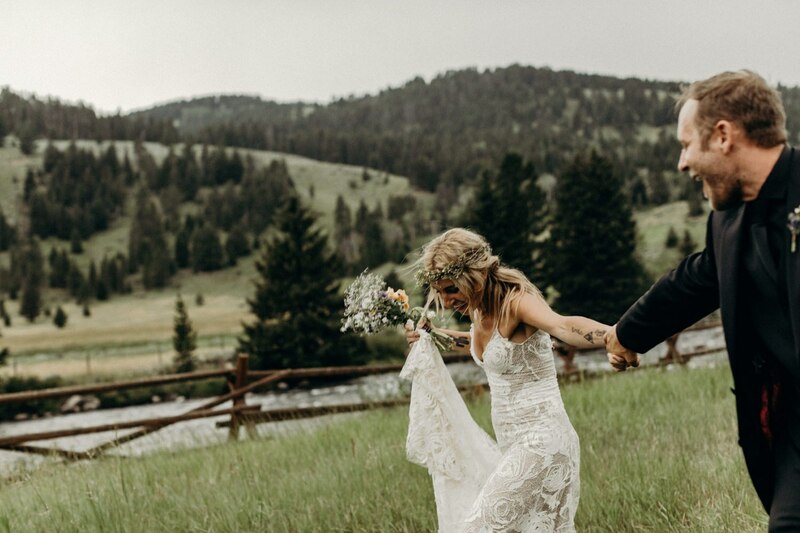 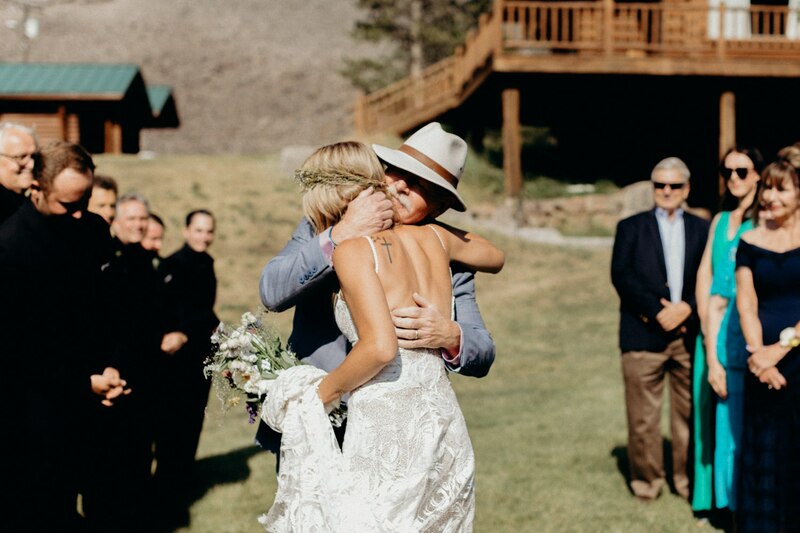 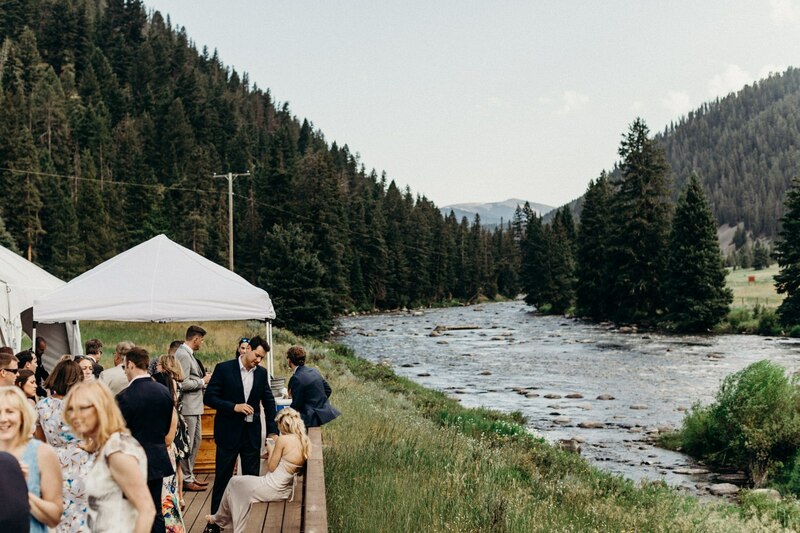 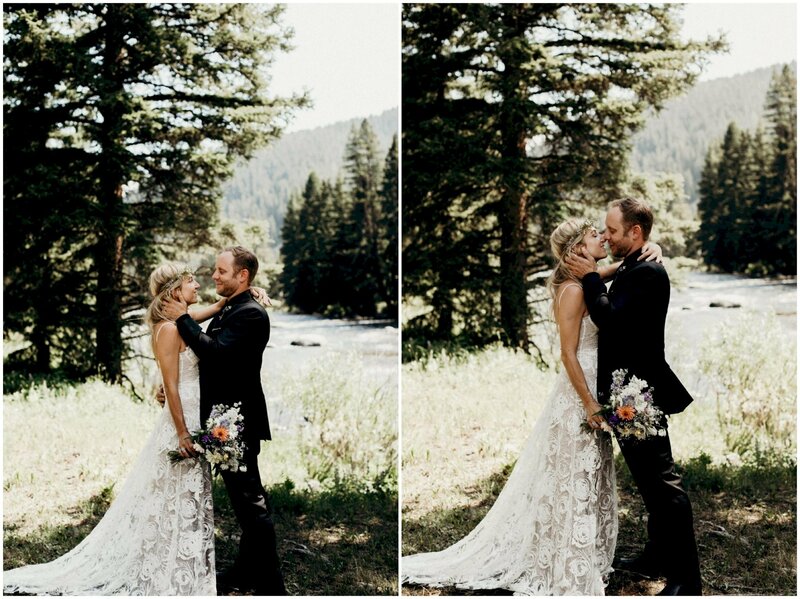 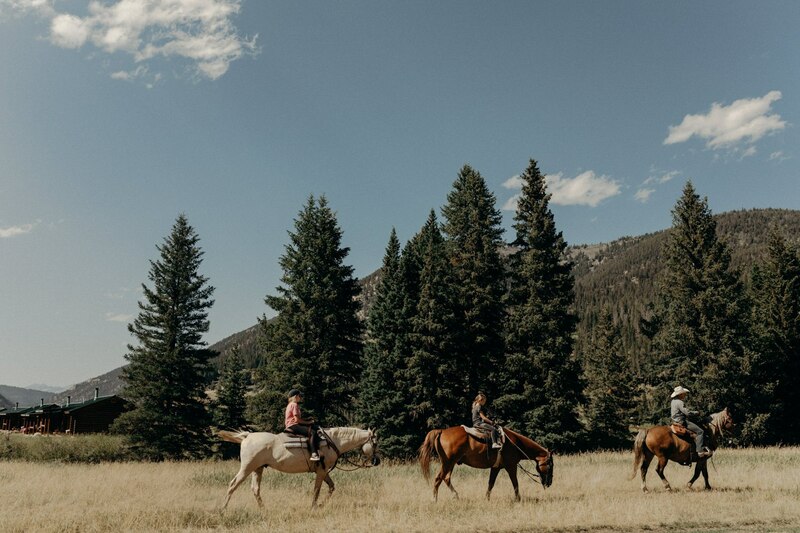 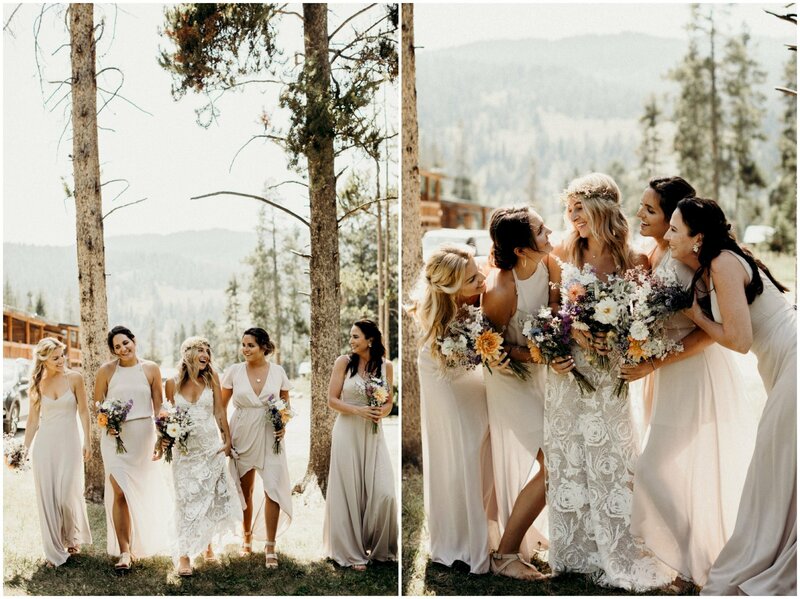 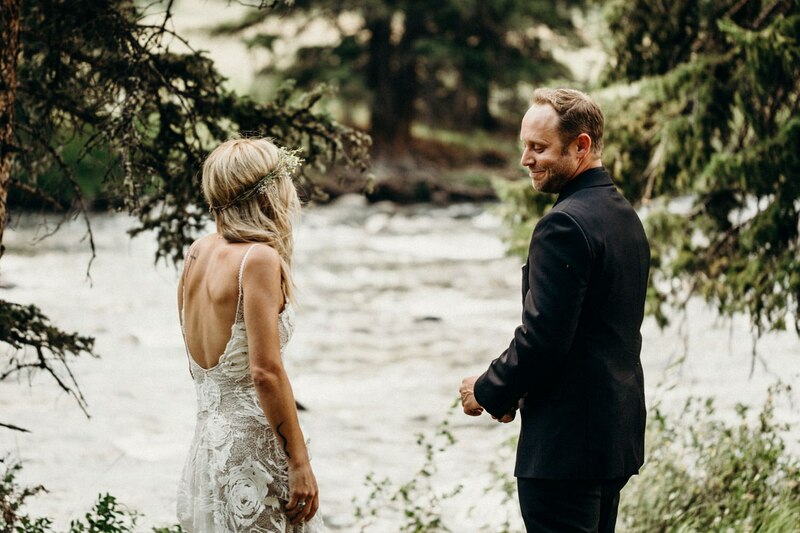 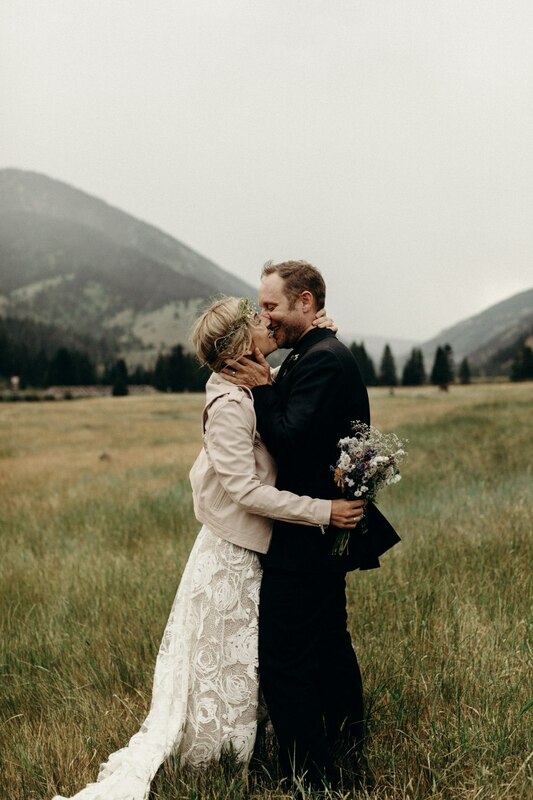 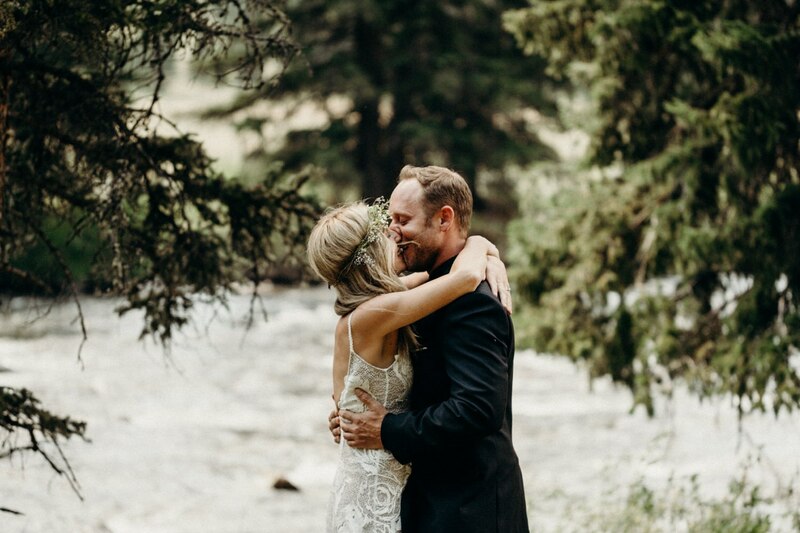 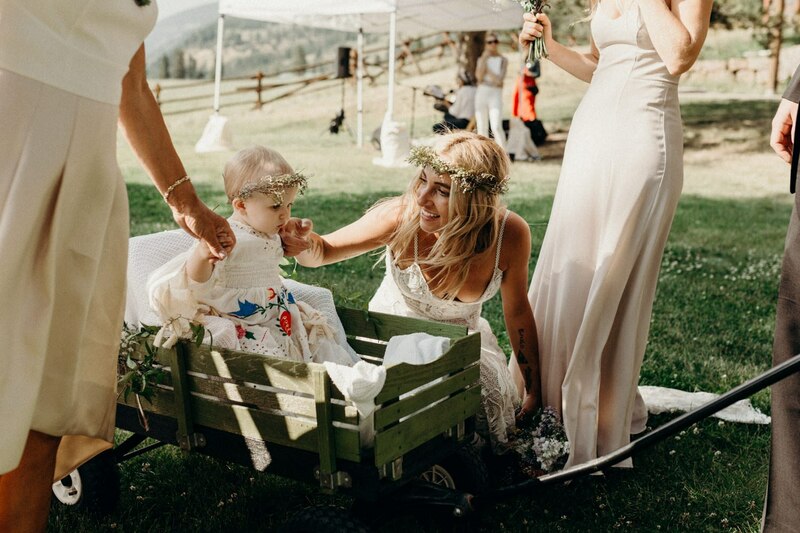 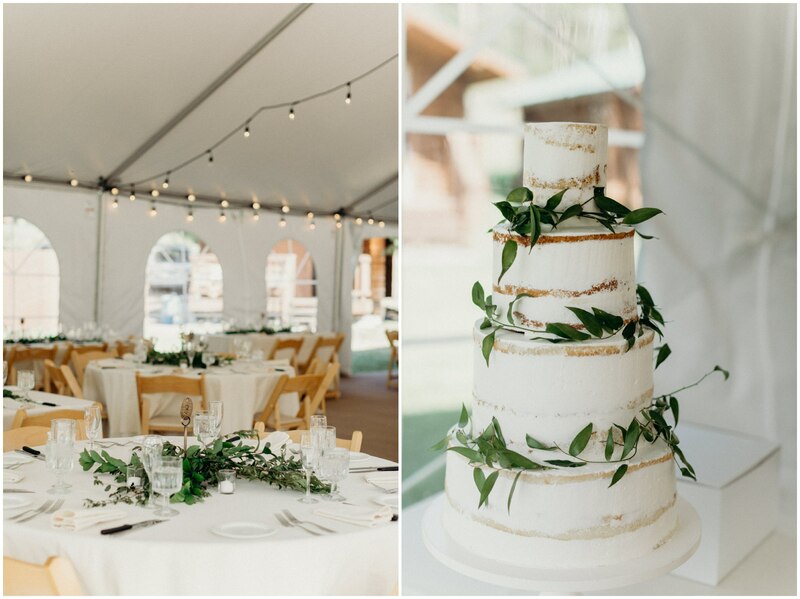 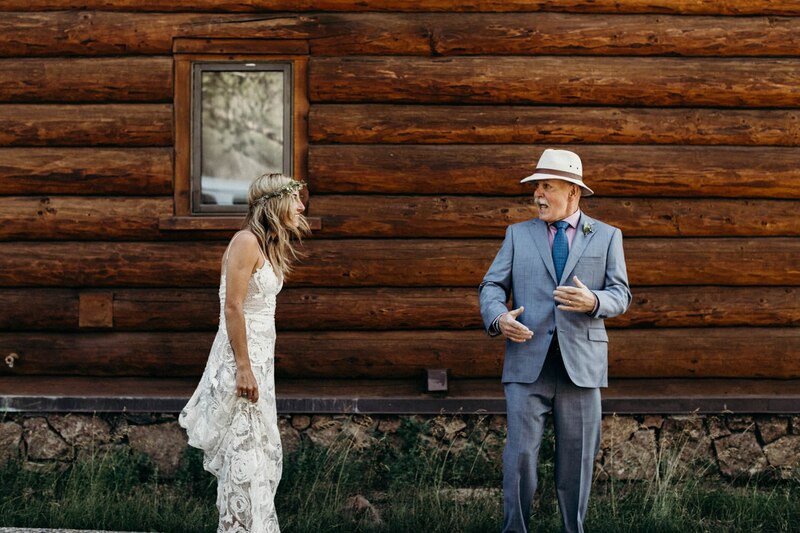 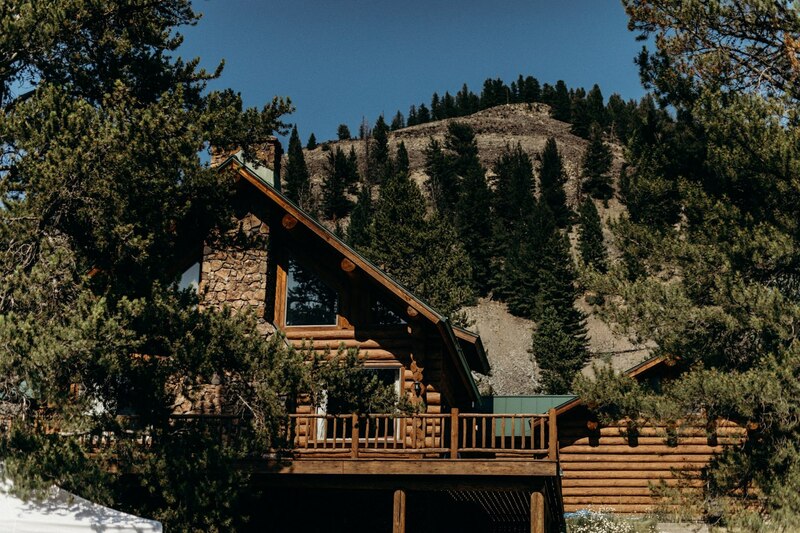 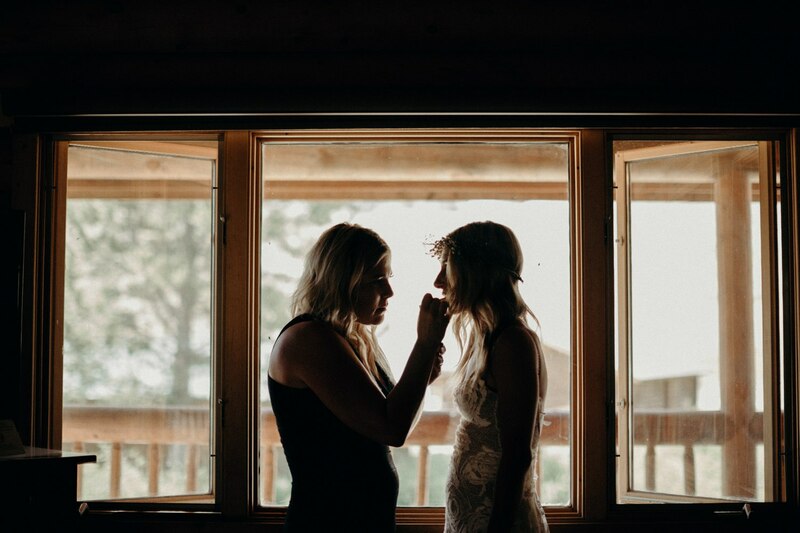 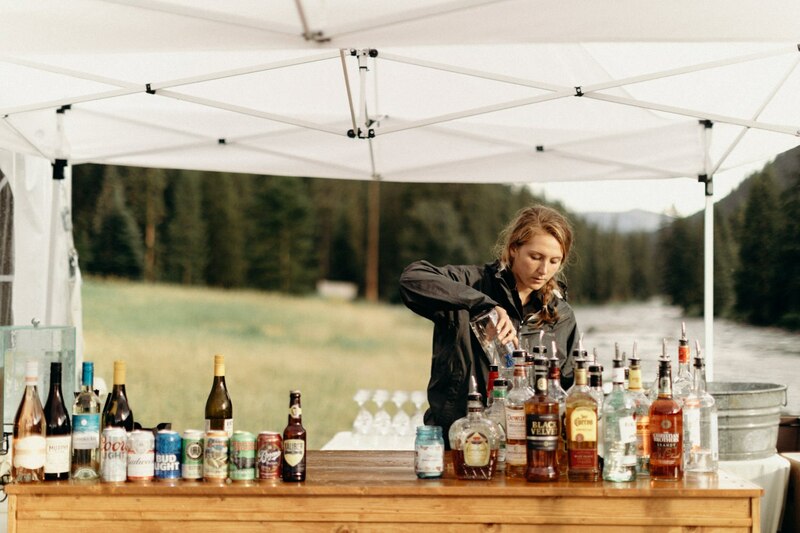 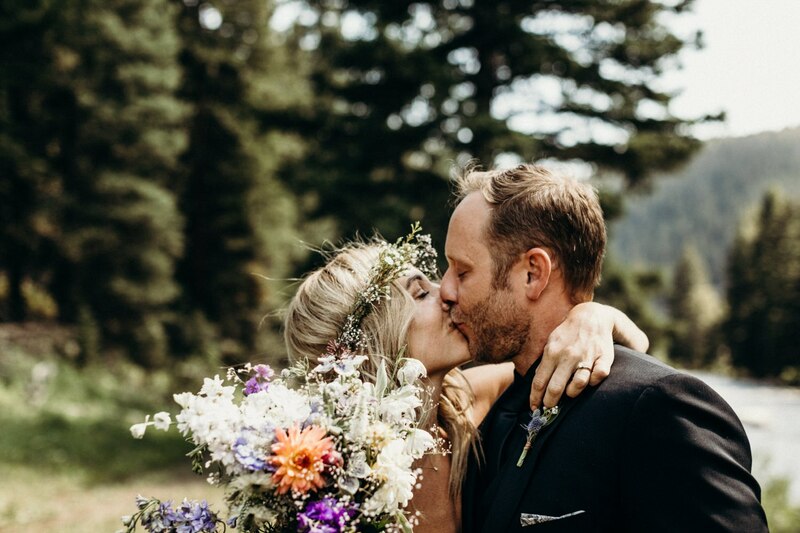 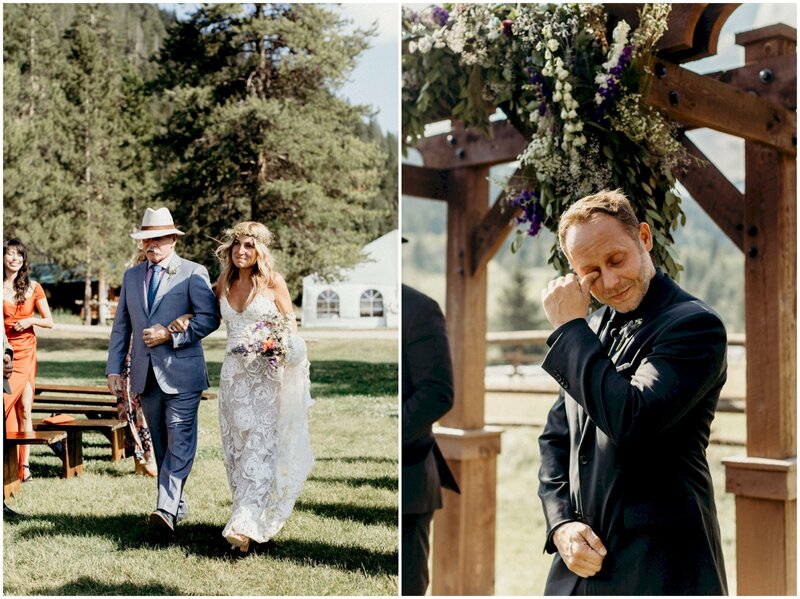 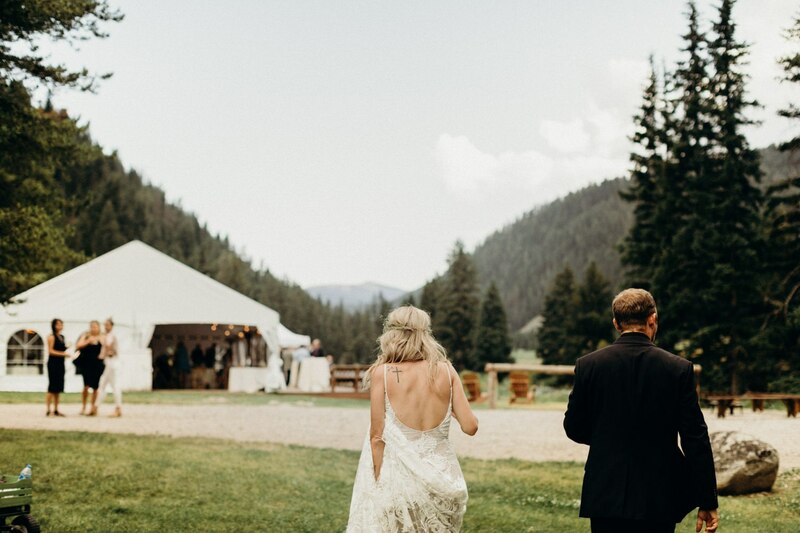 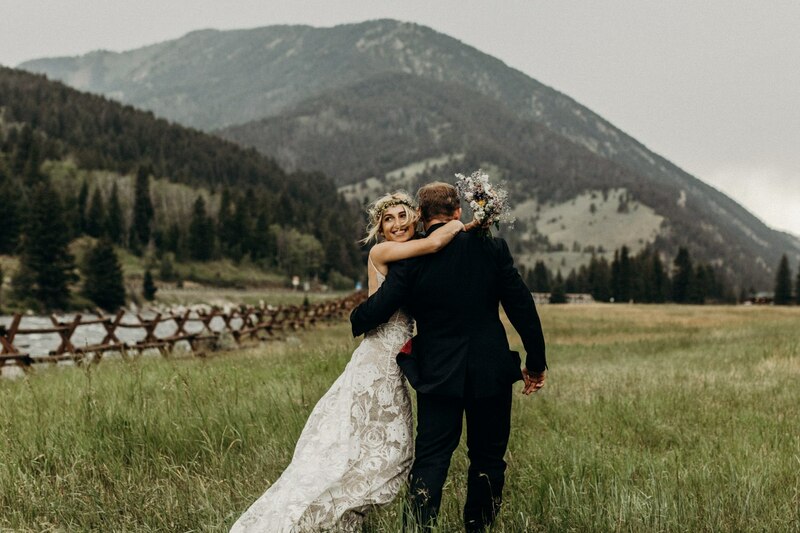 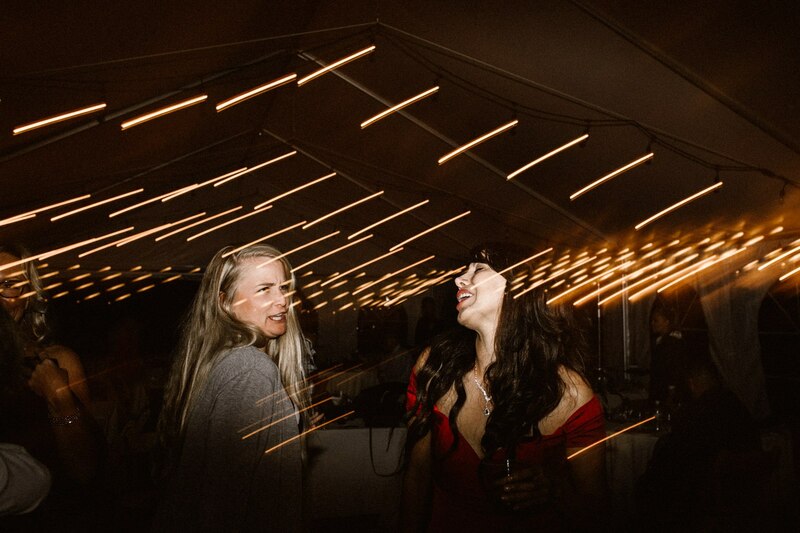 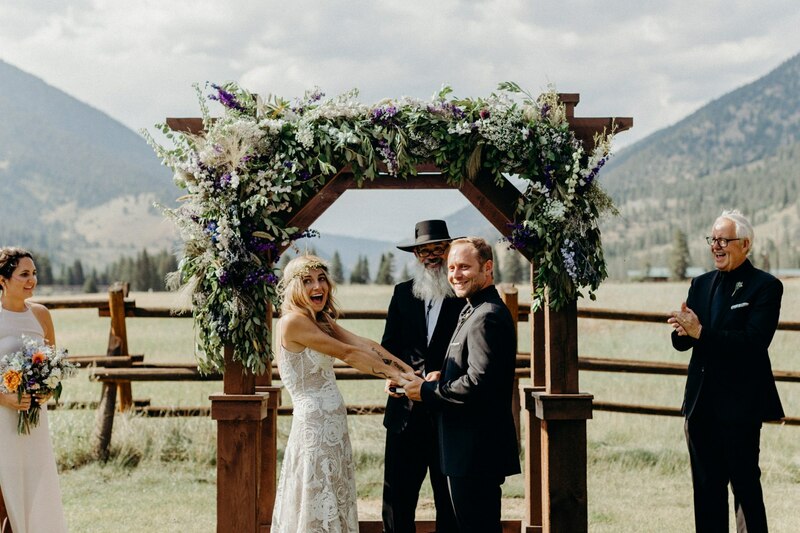 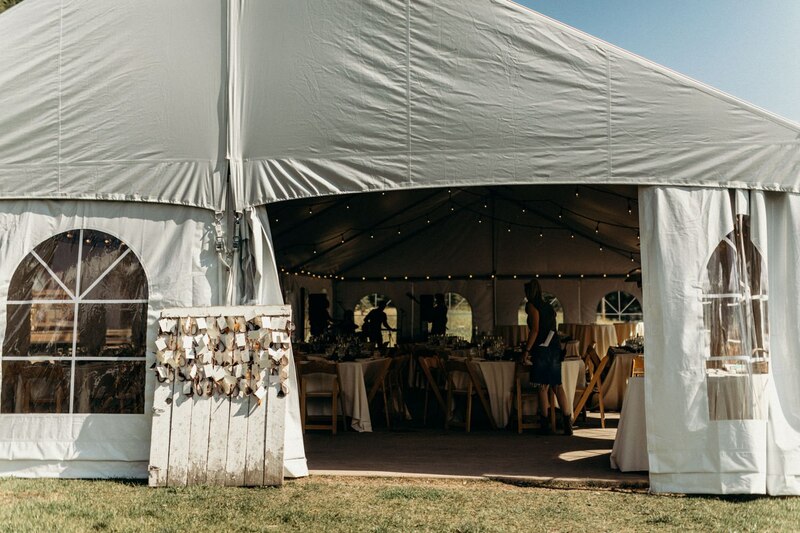 This couple from Los Angeles decided to bring all their families and friends out to the mountains of Montana because they wanted to have an adventurous intimate wedding. 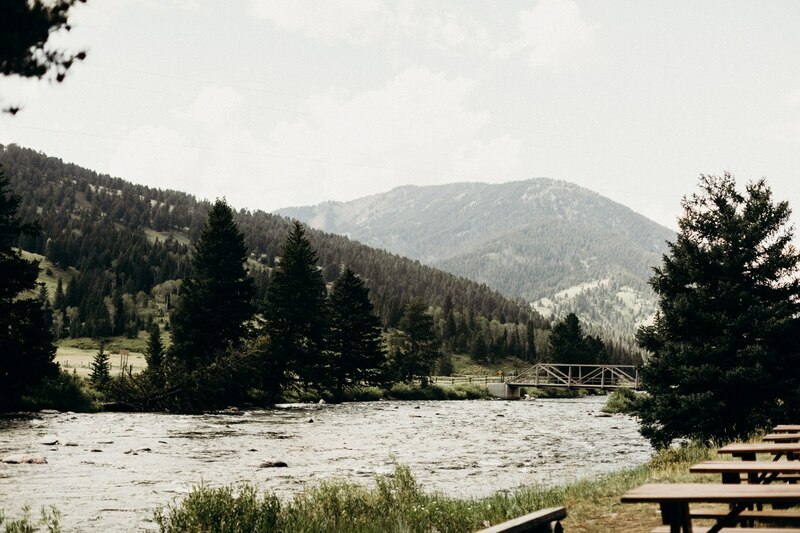 As much as they love being surrounded by natural beauty, creativity was also important to them. 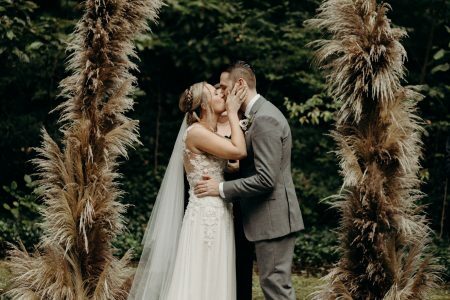 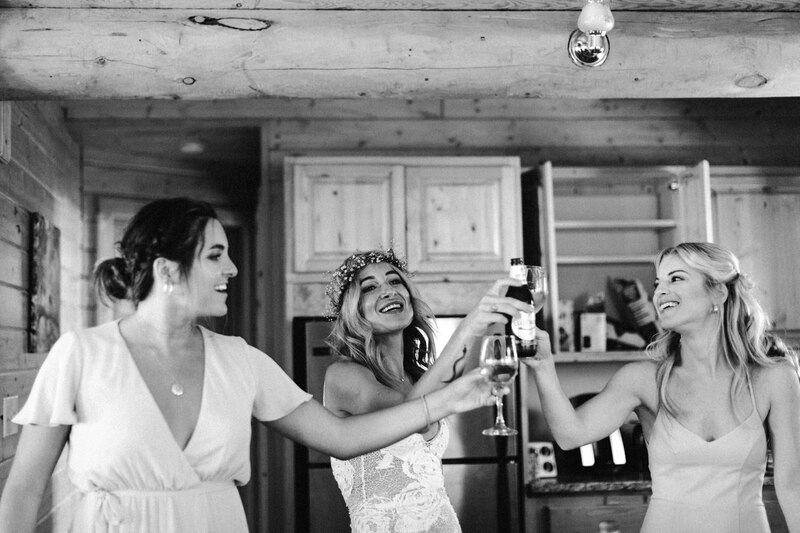 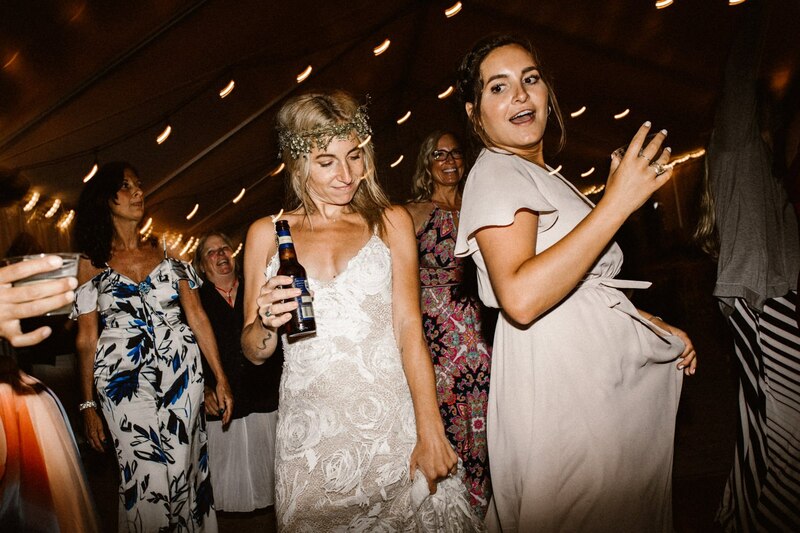 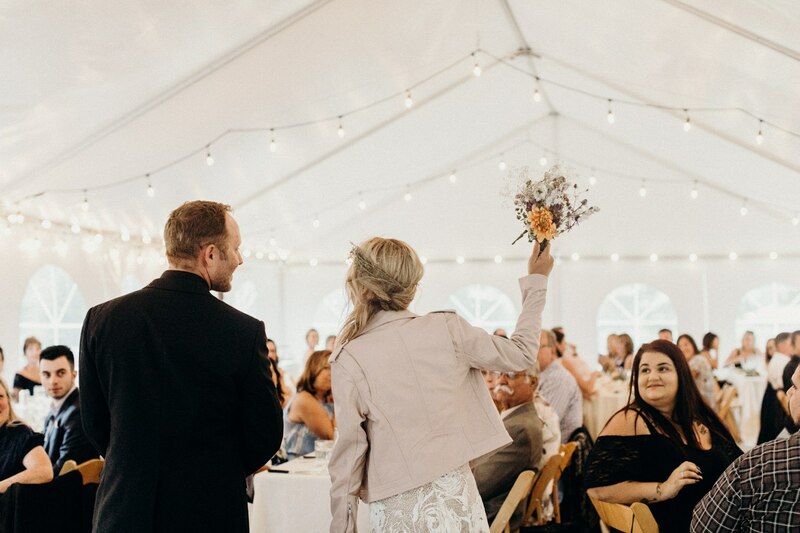 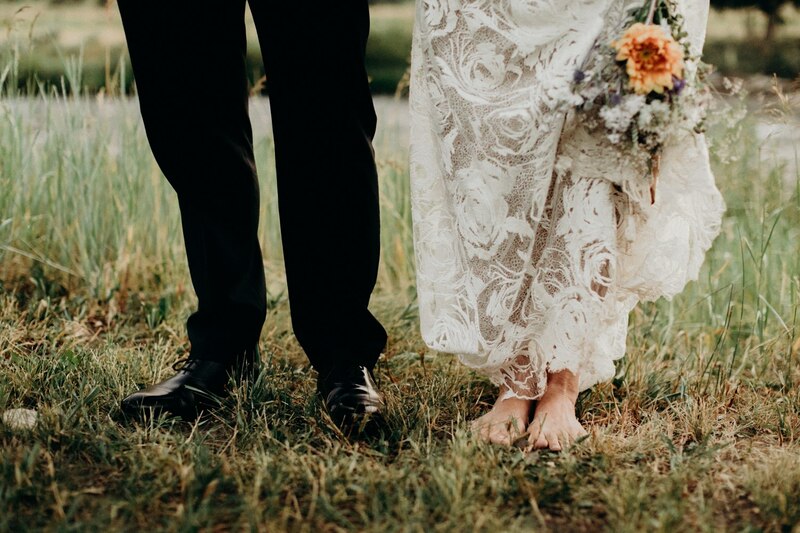 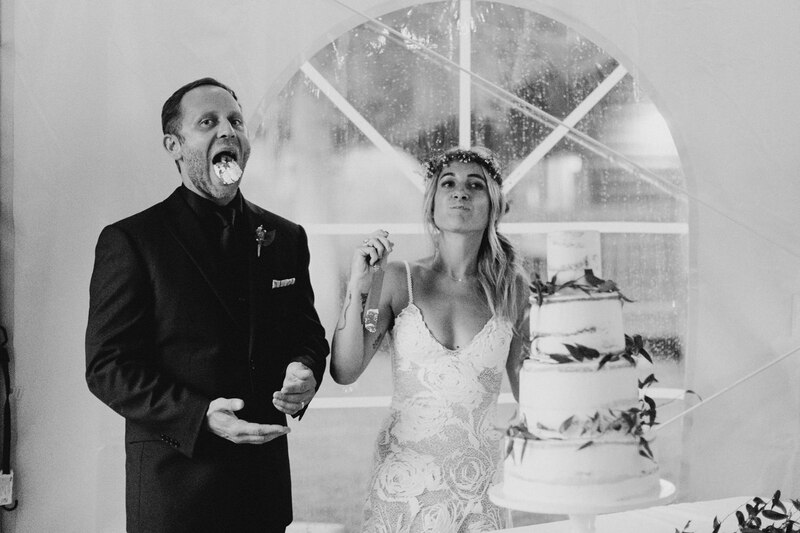 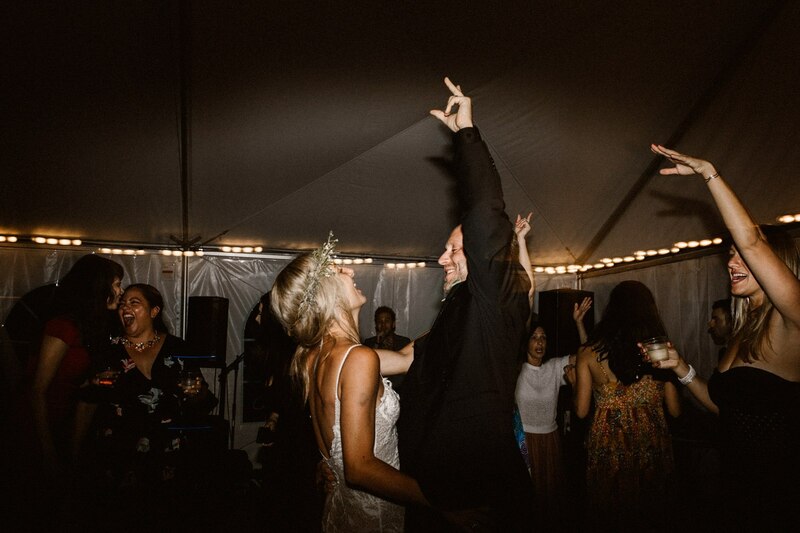 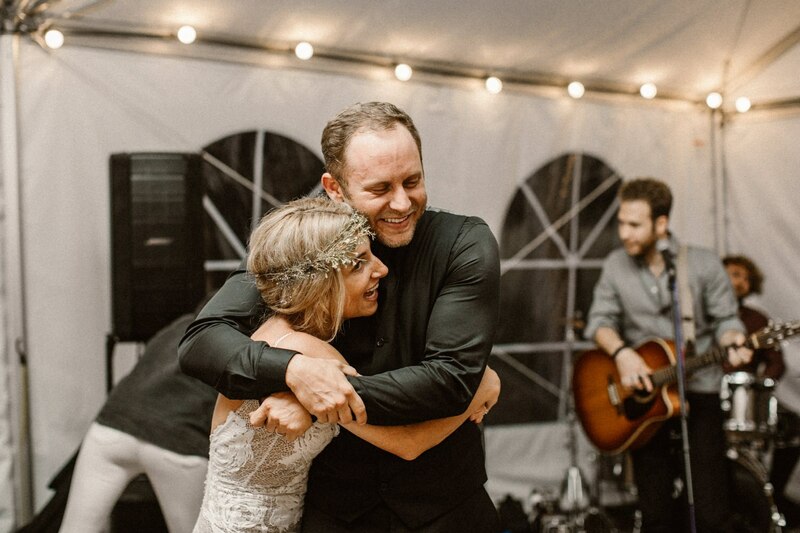 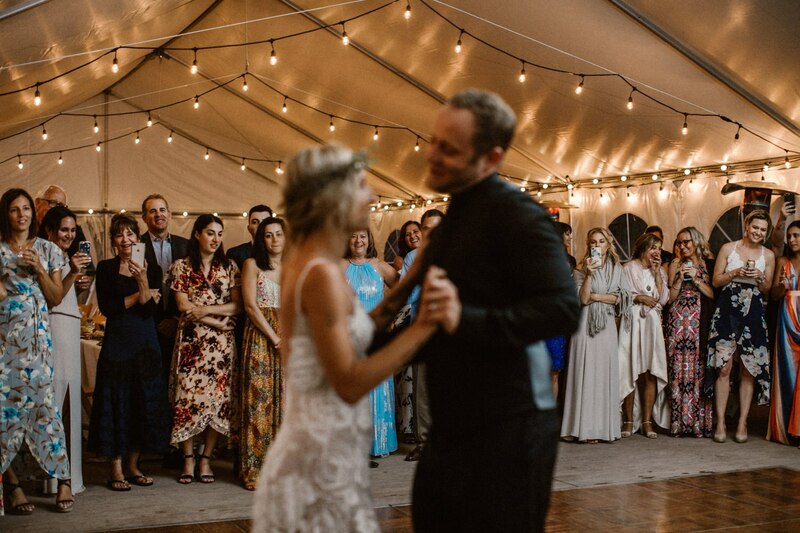 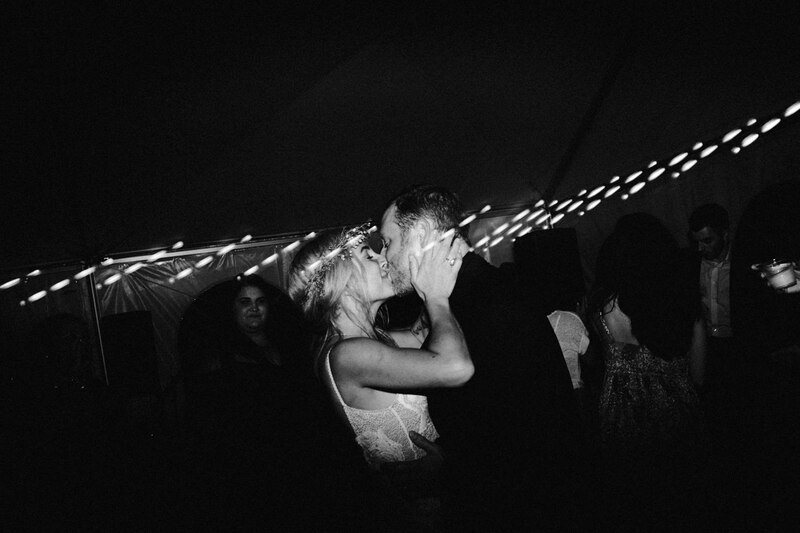 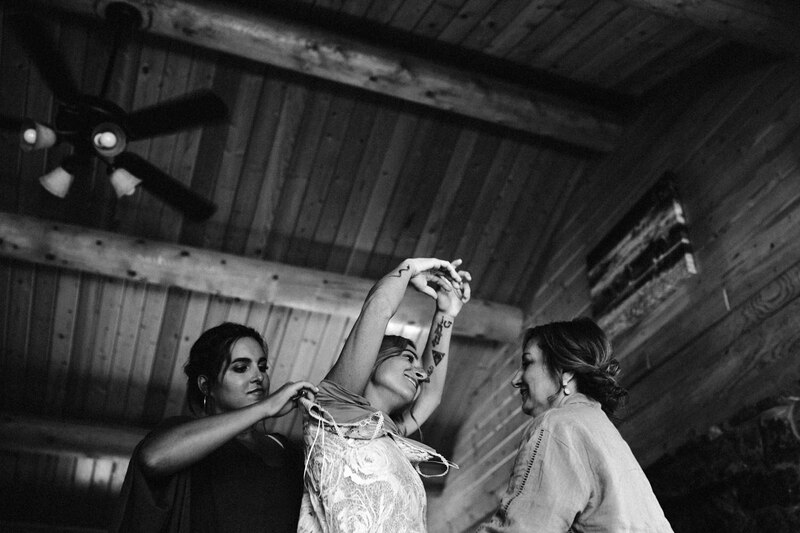 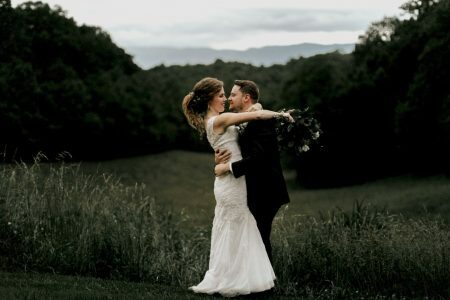 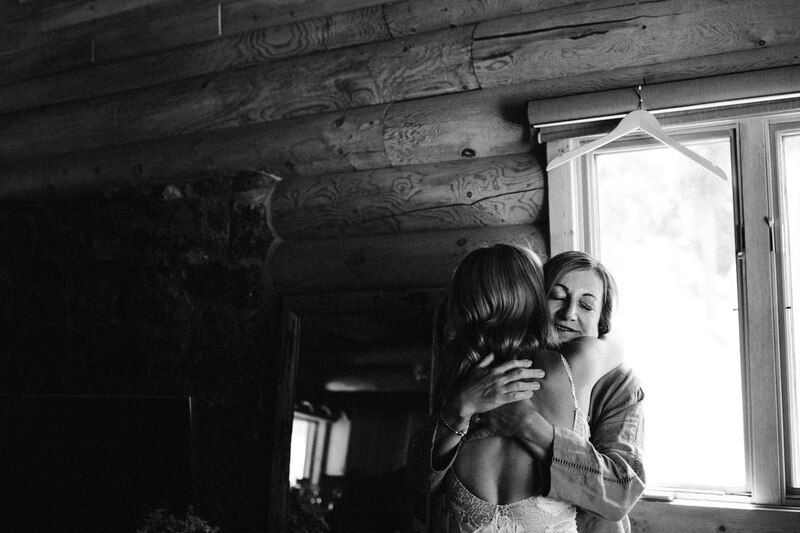 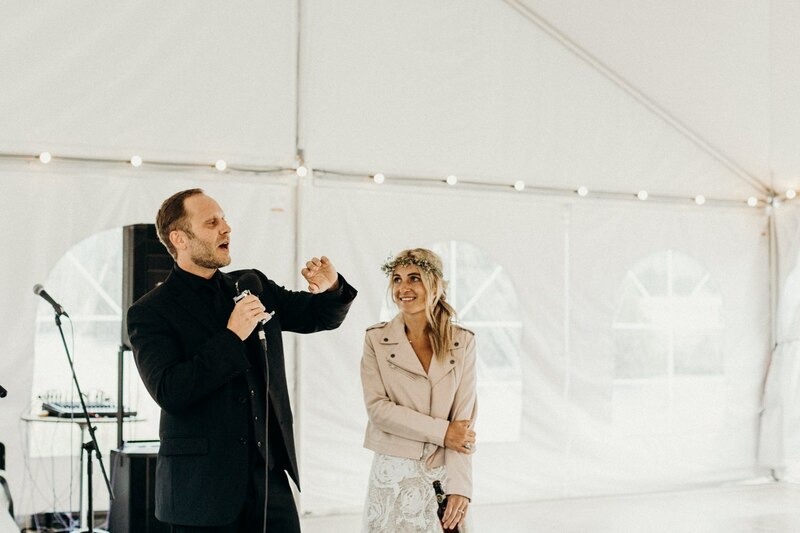 Jess, a barefoot free-spirit bride wore a Grace Loves Lace wedding gown. 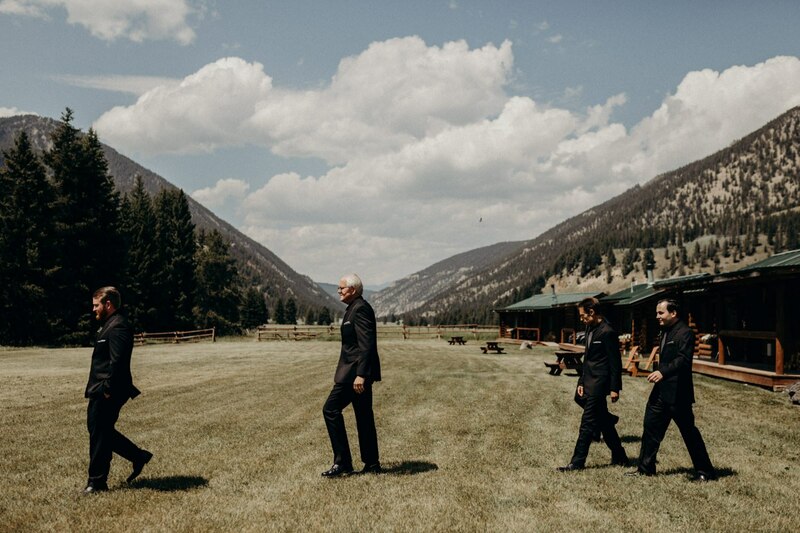 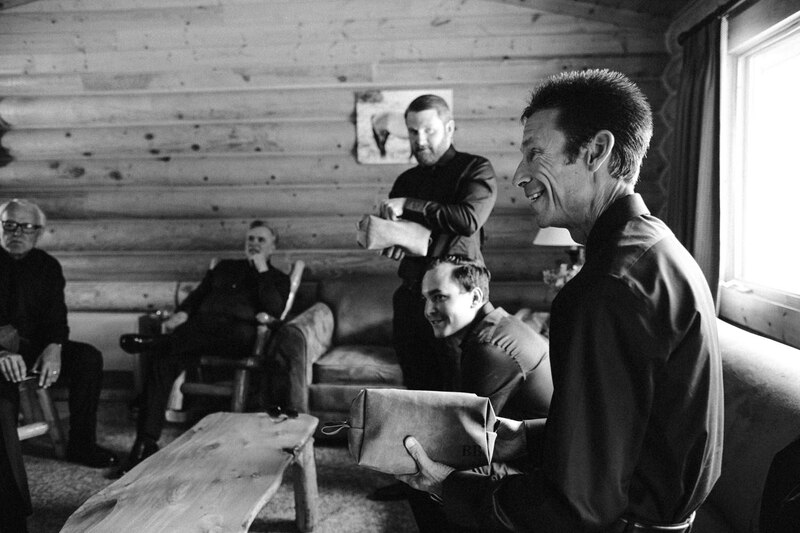 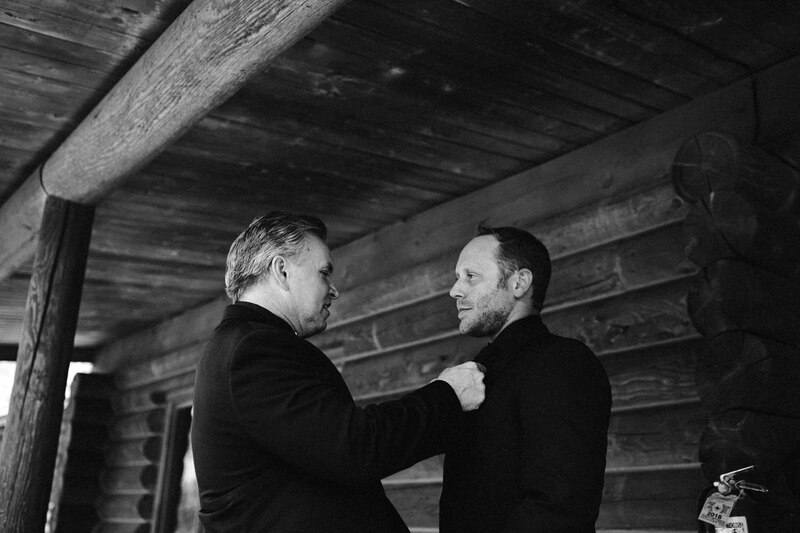 Greg and his groomsmen wore all black Joseph Abboud suits. 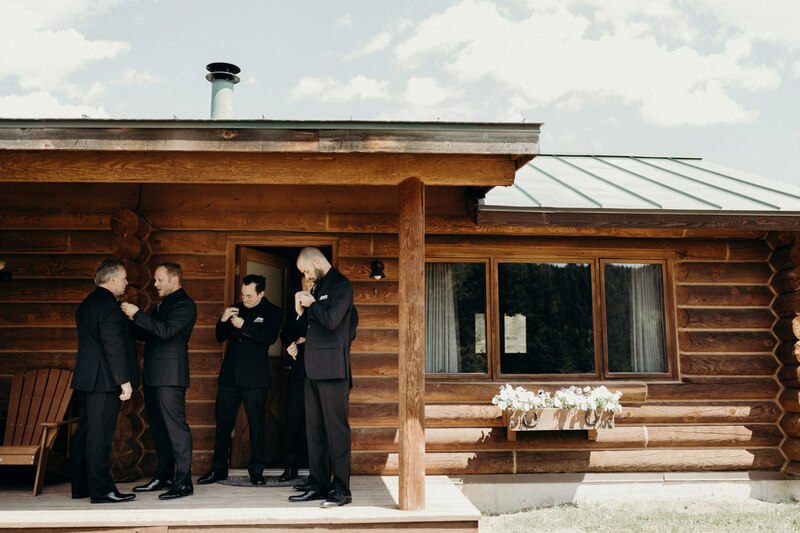 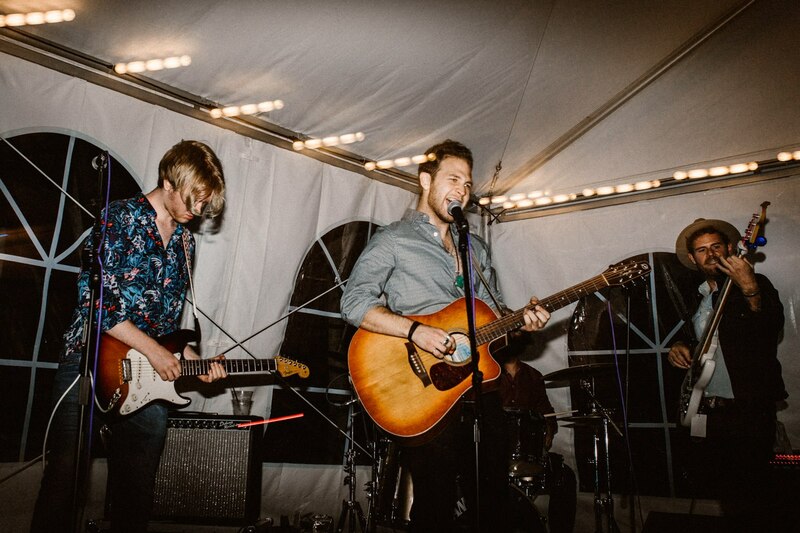 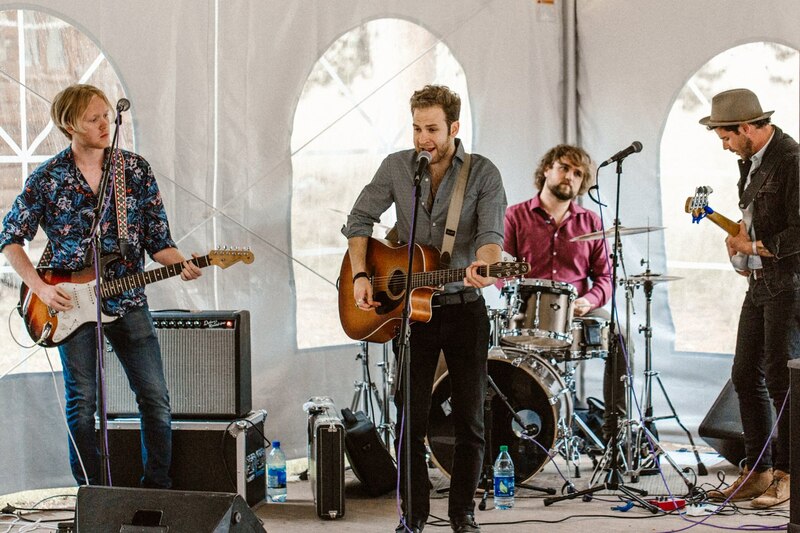 They flew out their favorite band from Los Angeles, Three Dollar Bills as well as their favorite cigars, 406 Cigar. 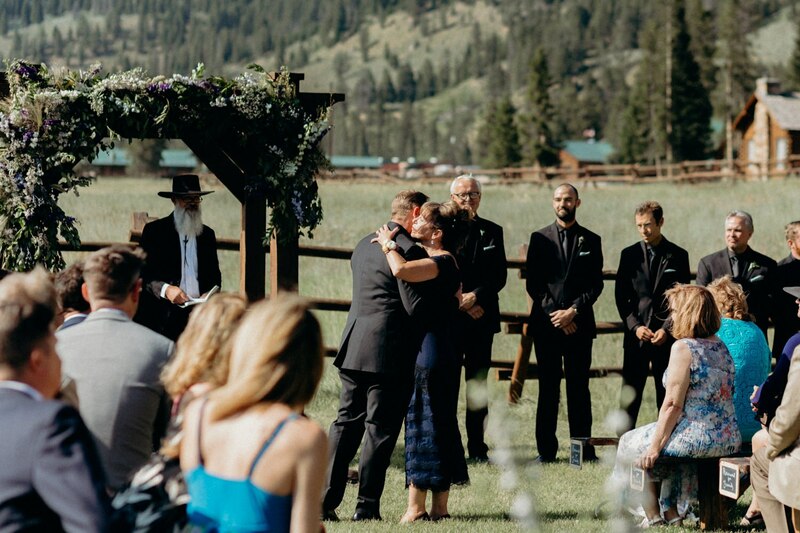 My favorite memory from the day was the ceremony. 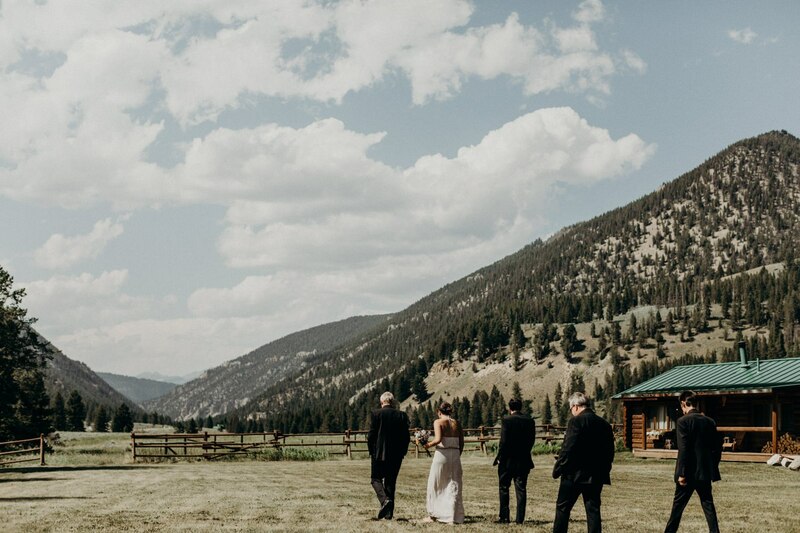 There was NO cell phone service, no cameras out. 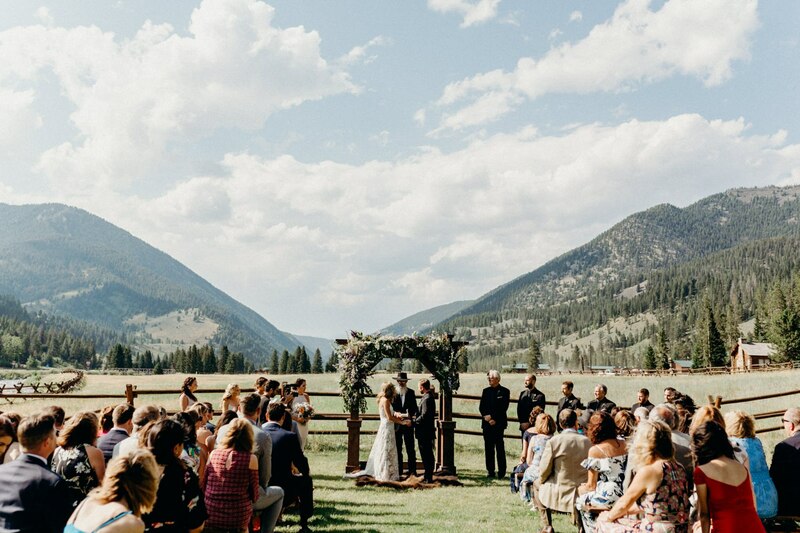 Just the sun shining on the mountains and their favorite humans being completely present. 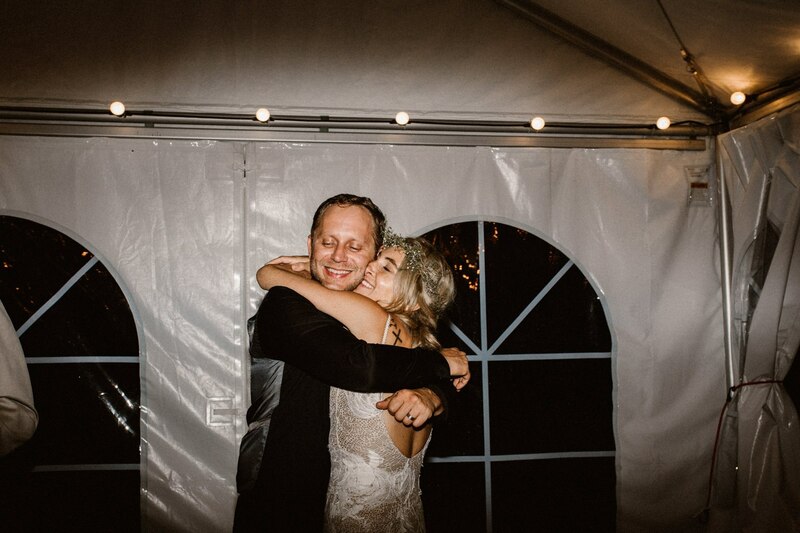 It was pretty emotional. 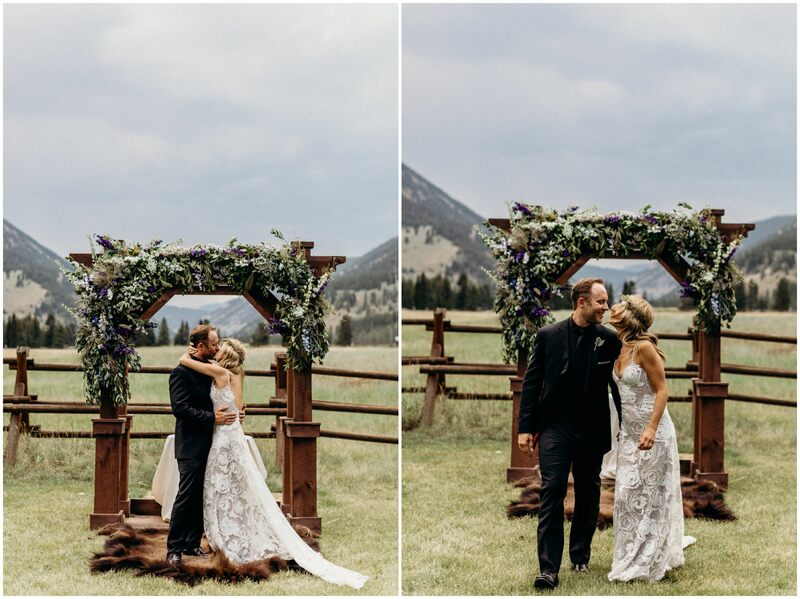 Thank you to all the vendors for making this day happen! 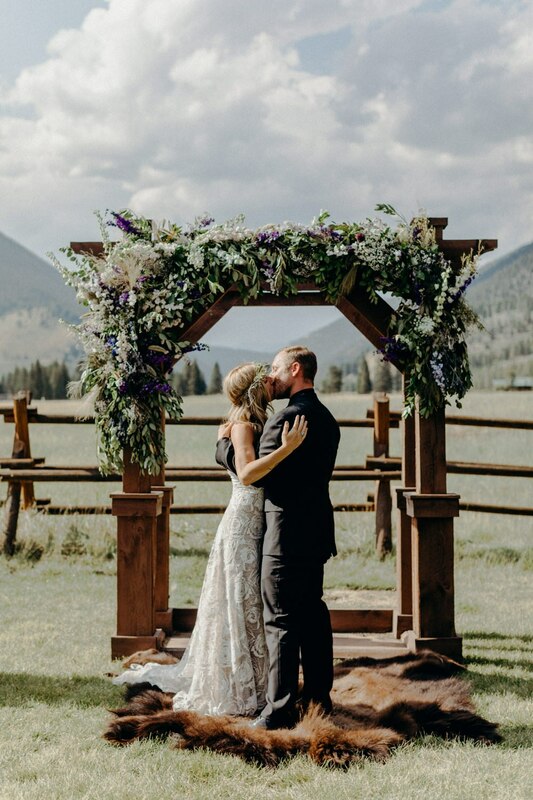 You all made this day incredible! 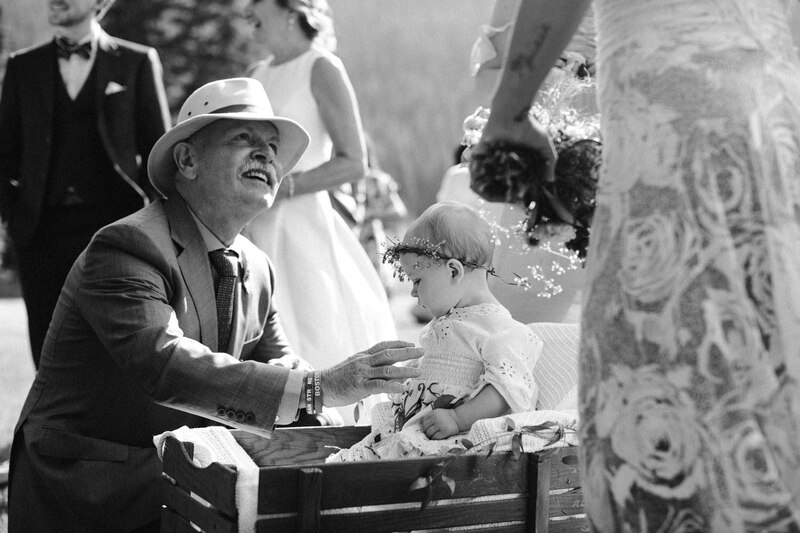 Daddy and daughter first look moments before he walked her down the isle. 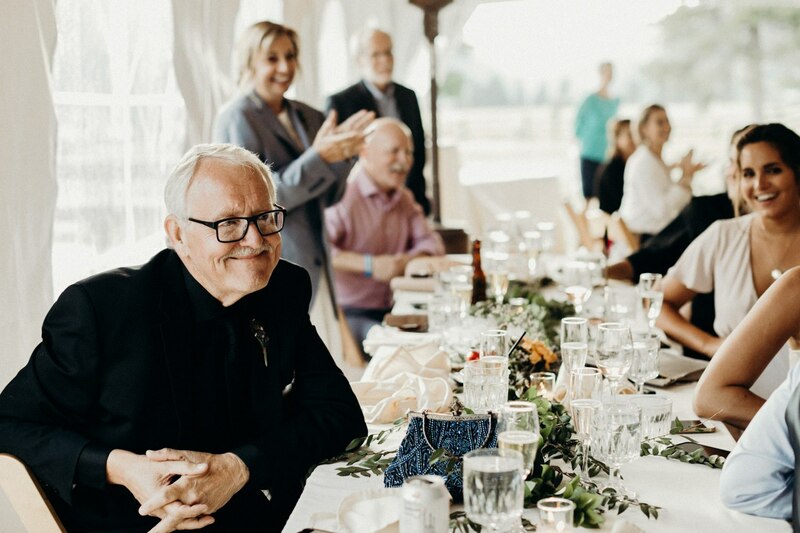 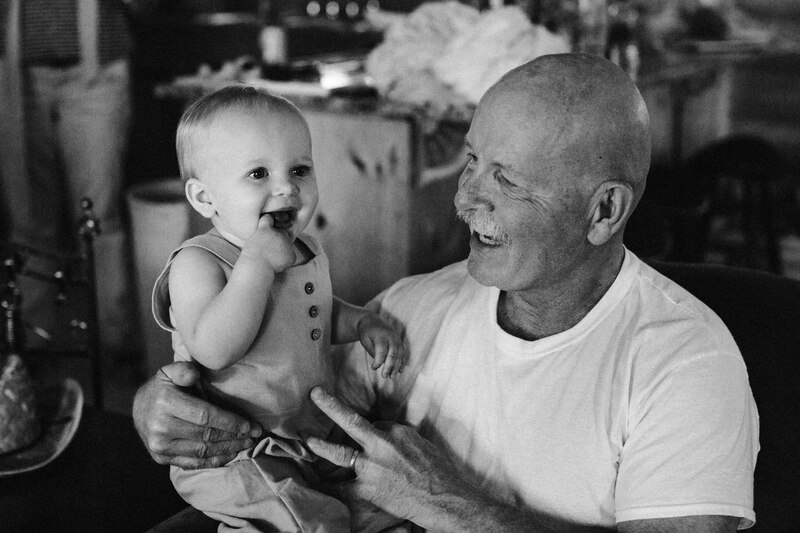 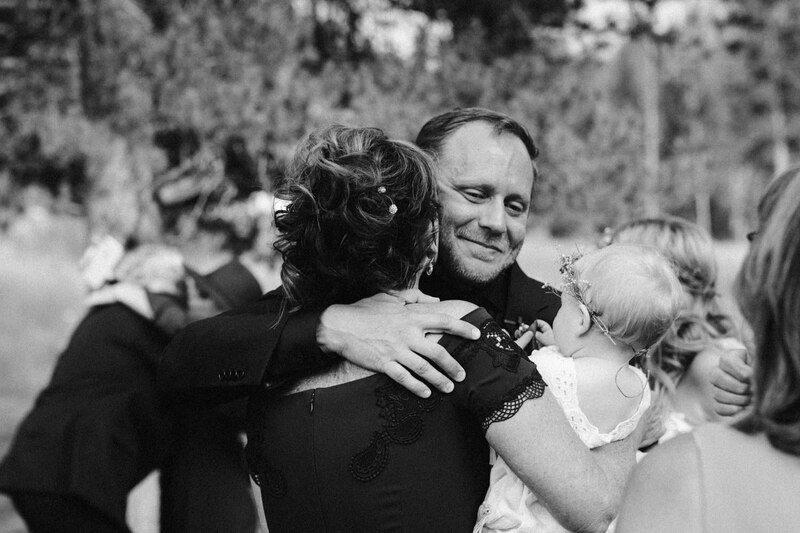 Greg seeing his beautiful daughter, Maise wagon down the isle. 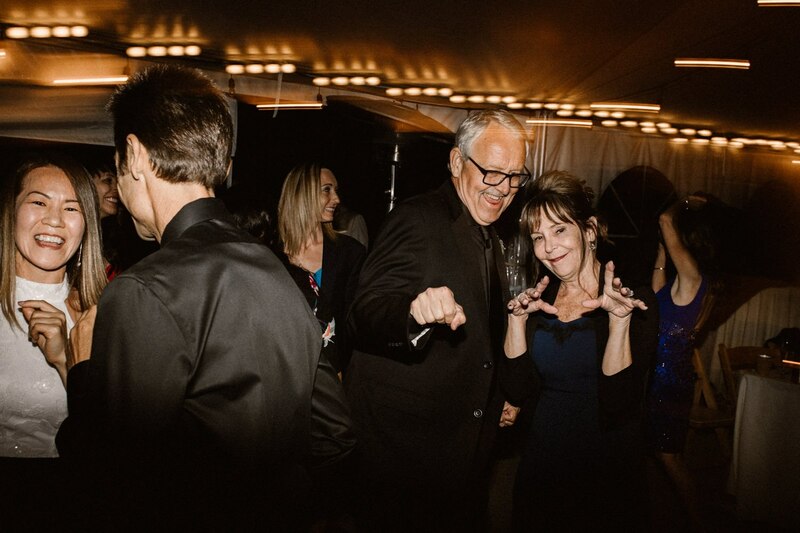 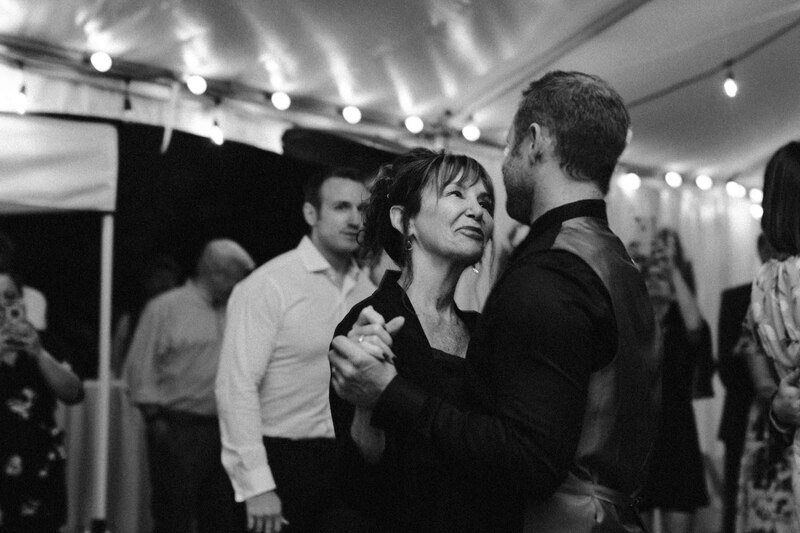 Post-Ceremony moments with Greg and his mother! 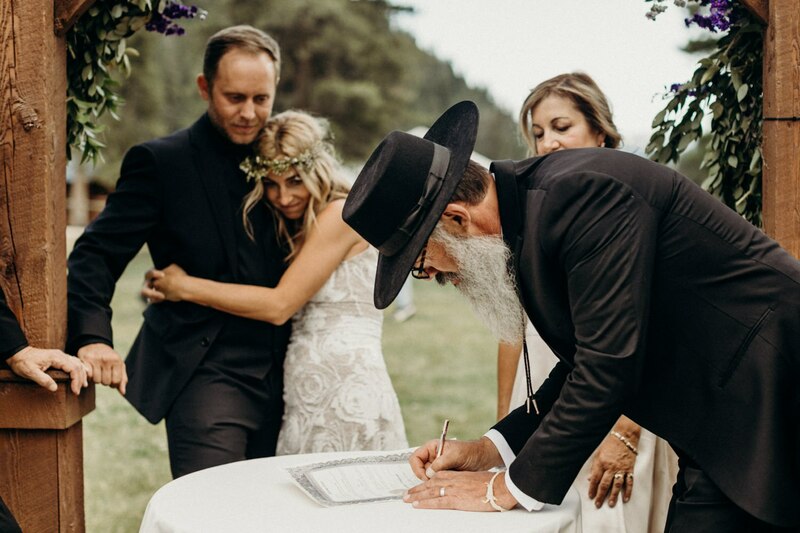 Signing the Marriage License and making it official! 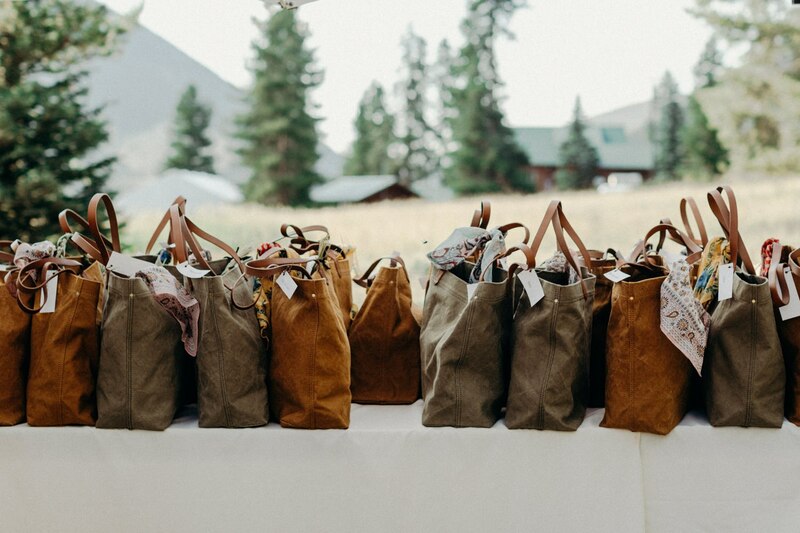 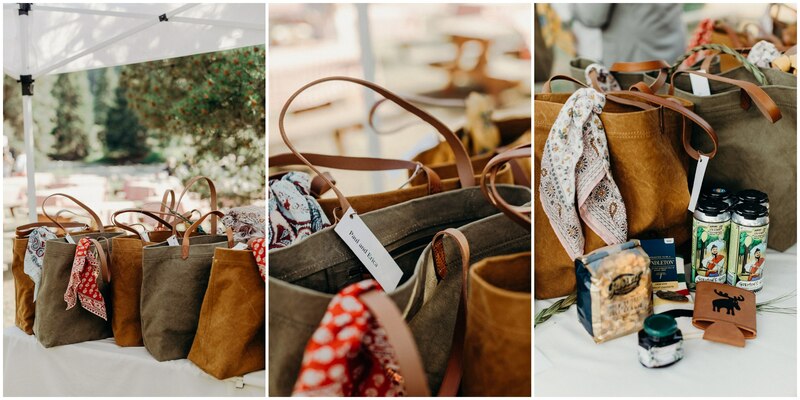 During Greg and Jess’s wedding rehearsal, they gave all the guests these beautiful handbags that were full of the necessities for a weekend in the mountains and included these adorable Madewell neck scarves! 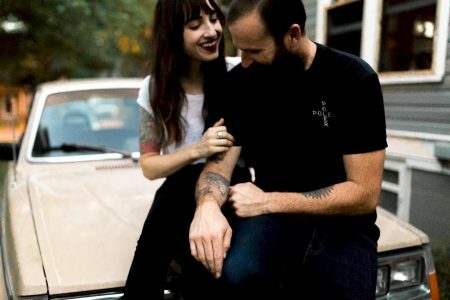 Greg and Jess’s favorite band from Los Angeles is Eleven Dollar Bills. 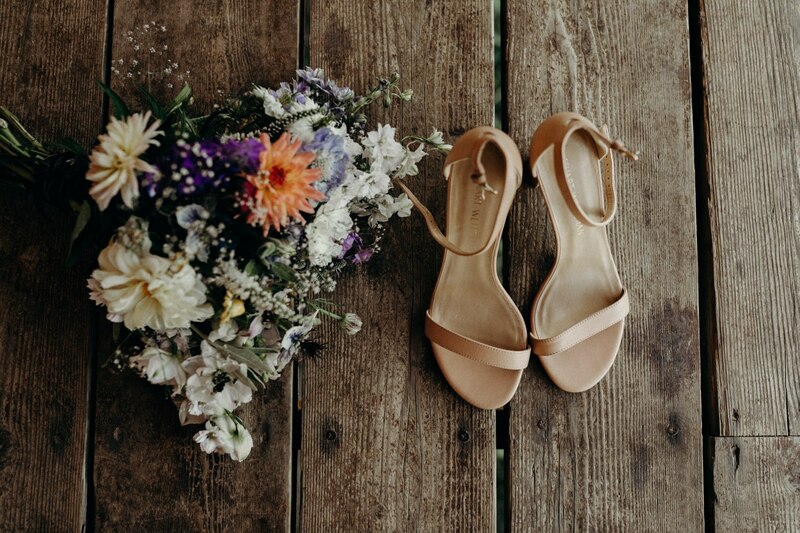 They decided to bring them out for the wedding! 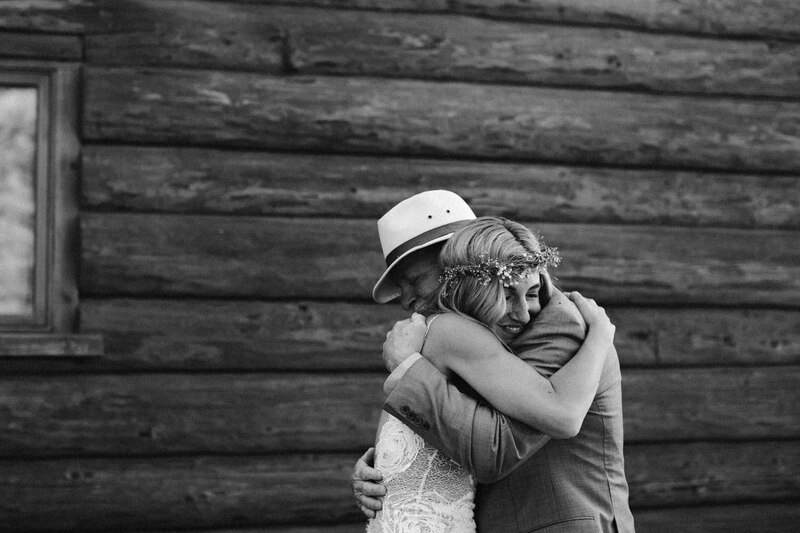 Thank you so much for trusting me to be apart of your destination wedding! 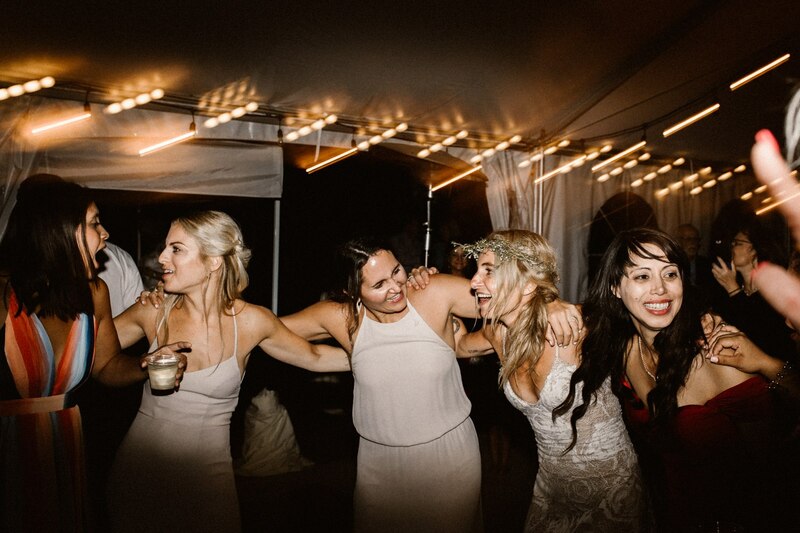 Love you all so much! 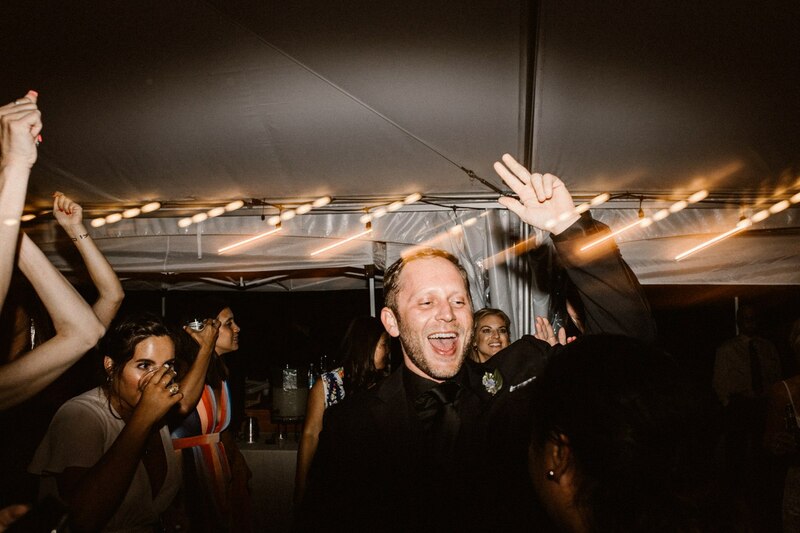 I’m available for adventurous weddings and elopements for couples worldwide. 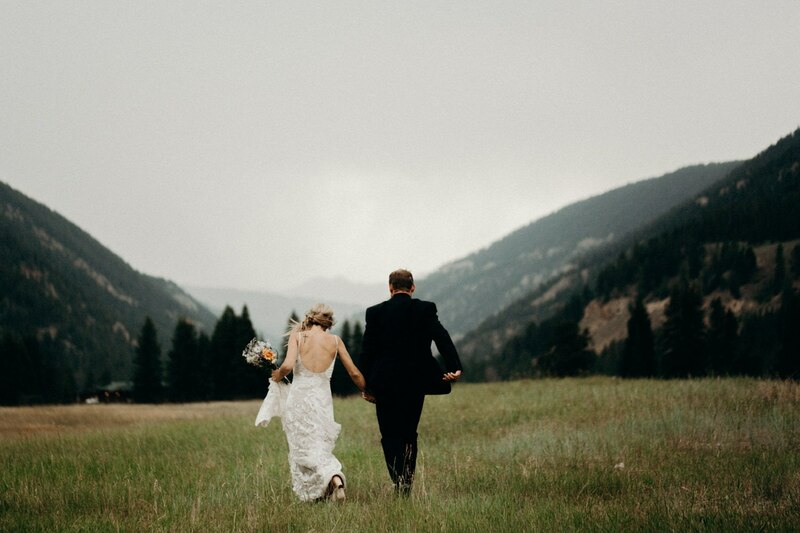 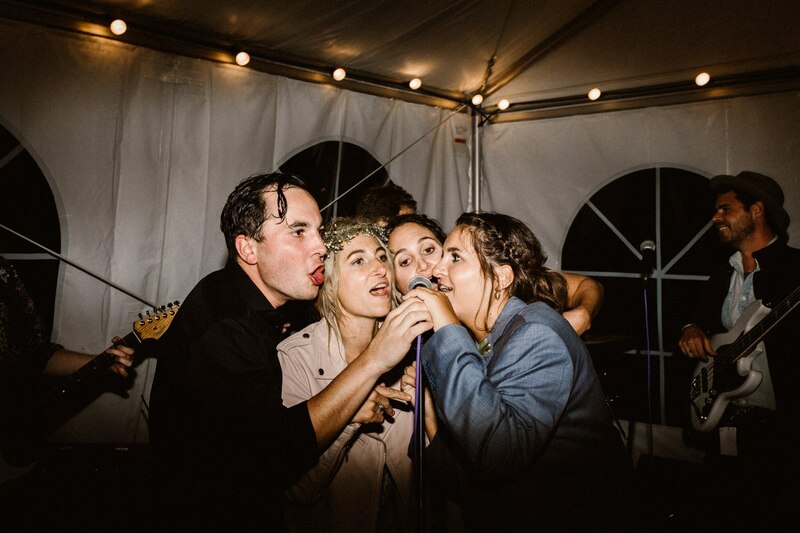 Get in touch with me about creating adventure for your Wedding here. 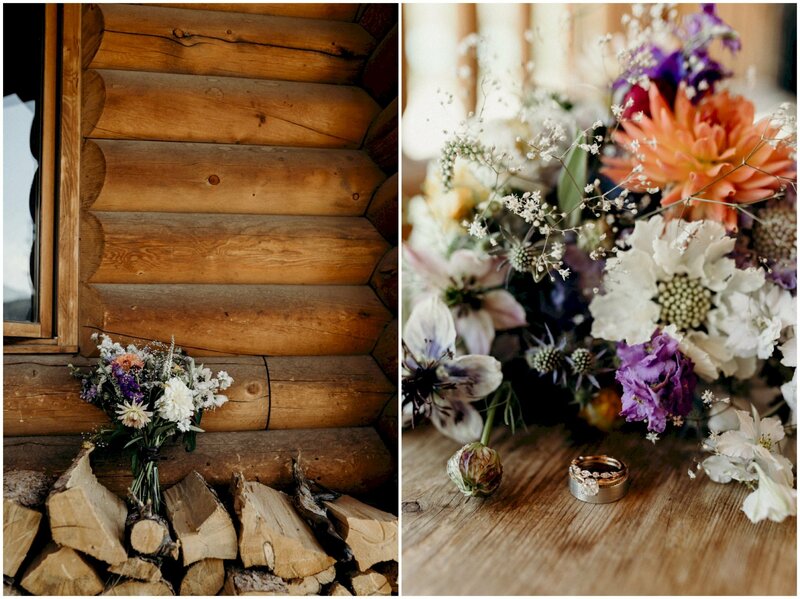 Follow more adventurous weddings over on my instagram here!